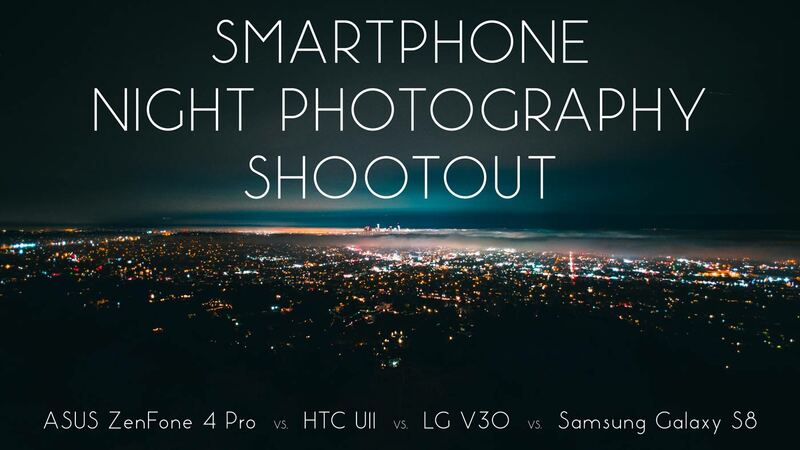 Let’s try out four of the best smartphones in a low-light shooting battle. 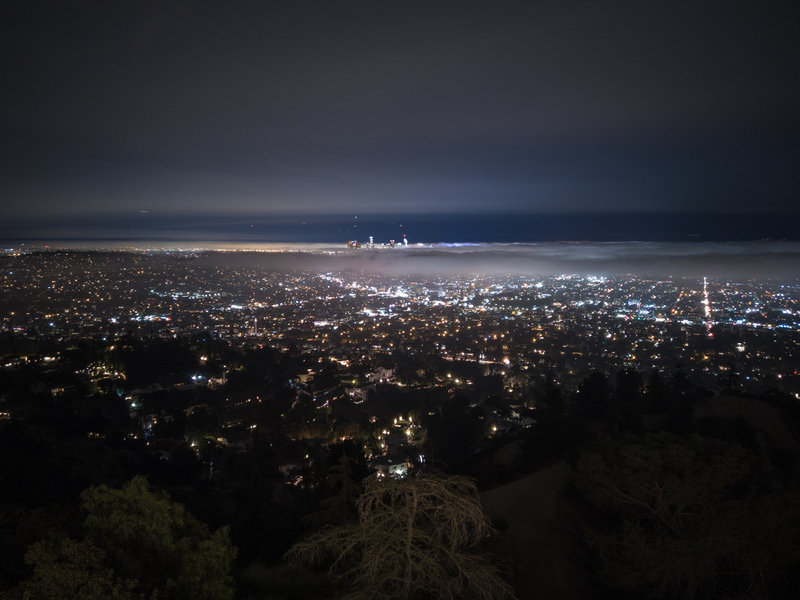 We compare urban nightscape photos from the ASUS ZenFone 4 Pro, HTC U11, LG V30 and Samsung Galaxy S8. Also important for travel photographers: they’re all available as unlocked world GSM phones. You can buy them unlocked and without a contract at B&H photo and use them on any carrier with a GSM network. This photography comparison is as much a test of each smartphone’s hardware as it is a comparison of each manufacturer’s design philosophy in regards to the devices’ cameras. Let’s see how well ASUS, HTC, LG and Samsung build a mobile photography experience and how well each of these phones performs at night photography. Let’s review the specs and user experience design of each phone, in alphabetical order, by manufacturer. The ASUS ZenFone 4 Pro is one of two phones in this comparison that has dual cameras. It has a fast f/1.7 wide angle primary camera with a 25mm equivalent focal length and a secondary camera with a 50mm equivalent focal length. The secondary camera uses a slightly smaller sensor and a slower f/2.6 lens but also has a slightly higher resolution 16MP sensor. This secondary camera allows the ZenFone 4 Pro to use parallax depth mapping to simulate short depth of field portraits. For this comparison, the lower resolution 12MP primary camera will certainly function as the better low-light camera: it has the larger sensor, larger pixels and faster (lower f/number) lens. That said, we’ll still put both cameras to the test in low-light conditions. The ZenFone 4 Pro defaults to Auto mode whenever the camera app is first opened from the home screen. The manual exposure controls can be enabled by opening Pro mode, either by swiping from the left or by selecting the “Pro” button near the shutter button (assuming Pro mode is set as the pinned mode of choice). In order to keep the camera in Pro mode between uses, the user must re-open the app via the recently used apps switcher. If the app is opened via its home screen or app drawer icon, it will reset to Auto mode. Most of the primary functions of the ZenFone 4 Pro camera can be changed via the right hand toolbar (in landscape orientation). When pressed, each function opens a small adjustment dial that can be scrolled to change the parameter. The Wide/Tele camera selector allows for three different functions: Auto, Tele and Wide where Auto will automatically switch from the wide to the tele camera when 2x zoom is reached via the pinch-to-zoom gesture. Flash and other secondary controls like the self-timer are controlled with buttons on the left hand toolbar. Some notable functions like metering (center-weighted/average) and resolution selection are hidden behind the settings button in this left hand toolbar. The user experience is very much geared towards photography enthusiasts. It works just like a DSLR in terms of available function and the dial style UI elements make changing parameters like shutter speed or ISO very fast an intuitive. In the ZenFone’s Pro mode, all major functions like shutter speed, ISO, focus mode and white balance can also be set to “Auto”, effectively allowing users to mimic the functionality of the typical M/A/S/P modes on a DSLR. You can control the aspects of exposure you want and leave everything else on auto. ASUS has also included an “Auto Reset Exposure” button on the right hand toolbar that will quickly reset all parameters to auto should you need to quickly snap a neutral exposure in Pro mode. I also love the inclusion of extra ISO range: the camera can go to an ultra low ISO 25 and a high of 3200. The ZenFone 4 Pro also provides a great amount of feedback: There’s an optional “gradienter” or electronic level that shows orientation for both roll and pitch. Additionally, an active exposure meter constantly shows the expected exposure value, even when using manual modes, making it much easier to judge exposure brightness in tricky situations. This is also accompanied by a luminosity histogram that’s very helpful for gauging exposure. The interface even shows the f/number value for the camera that is being used (f/1.7 for wide and f/2.6 for tele) even though it’s a parameter that can’t be adjusted due to the cameras’ fixed apertures. It’s a small detail but it’s helpful when understanding exposure adjustments when switching between wide and telephoto cameras. One notable feature that I discovered when using the ASUS ZenFone 4 Pro is the way in which the manual focus function works. The manual focus adjustment dial allows the user to focus to the full range of focal distances available to the lens from close-up macro to infinity and even a little past infinity. Most cameras are designed to be able to focus past infinity in order to assist the search functionality of the autofocus systems. It’s a necessity of most phase detection autofocus systems. But on the ZenFone 4 Pro, if the user dials the manual focus wheel all the way to the marked infinity setting at the end of the wheel’s travel, the focus returns exactly to a calibrated infinity position for perfect critical focus at infinity. That means that the ASUS engineers actually calibrated and marked the lens on each camera for proper infinity focus position. That’s something that I’ve never seen on a smartphone camera. Most other smartphones’ infinity marks are wildly off in my experience. Bravo ASUS. While in Pro mode, access to movie recording is available at all times with the record button just below the shutter. Movies are recorded with all the manual exposure settings applied meaning that it’s possible to create fully manual exposure videos, a rare feature for a smartphone camera. Shutter presses are nearly instant, even with RAW recording enabled, an impressive display of the camera’s speed. It should be noted, however, that it’s not possible to shoot in continuous shutter mode when RAW recording is enabled. Switching to JPEG recording allows the photographer to hold the shutter button and rapidly fire off a sequence of photos. Overall, the ASUS ZenFone 4 Pro’s camera user experience has pretty much everything I want in an enthusiast camera. It’s intuitive and fast has an excellent feature set for serious photographers. The HTC U11 sports the same Sony IMX362 sensor as the ASUS ZenFone 4 but has a very slightly longer focal length lens (26.2mm vs 24mm equiv. FOV) with a similar f/1.7 aperture. The U11 isn’t a dual camera phone but its primary camera specs are similar to the other cameras in this comparison and the camera has been widely regarded as one of the best mobile cameras according to DXO. 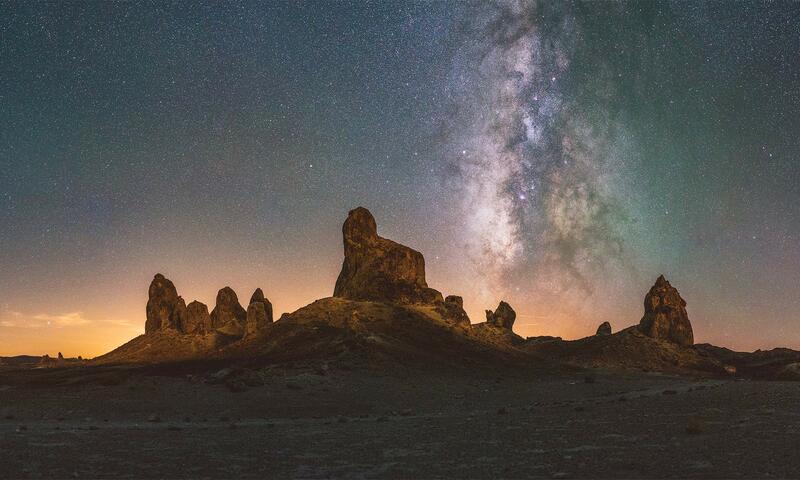 It features manual controls and RAW capture so that makes it a good candidate for night photography. The U11 user experience is somewhat of a mixed bag when compared to, say, the ASUS ZenFone 4 Pro. It has the bare standard exposure features that we would expect but it has something to be desired in terms of organization and ease-of-use. It’s also randomly missing some shutter speed selection capability. More on that later. The HTC U11 has the most Spartan looking interface and yet I have the most to say about it, which I’m not sure is a good thing. 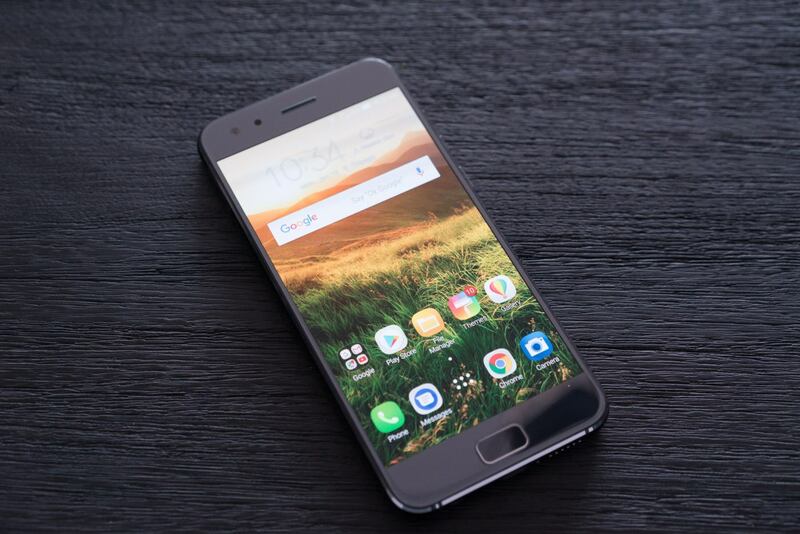 Unlike the ASUS ZenFone 4 Pro, the primary functions are adjusted via buttons on the bottom of the screen (in landscape orientation). When pressed, each function opens a slider above that button. Each parameter (white balance, exposure, ISO, shutter and focus) can have their respective adjustment sliders open all at once. It’s nice to be able to adjust each slider directly, but they’re also drawn directly over the live view feed making the camera seem terribly cluttered when all parameter sliders are open. Furthermore, re-opening the app after having set any manual controls, even upon closing them previously, causes the sliders to re-open and thus re-clutter the interface. Flash control is directly accessible from the left-hand toolbar and other secondary controls like the self-timer, file format and aspect ratio are hidden behind the left-toolbar. Some notable functions like metering or HDR control are unavailable in Pro mode. While HTC has made a camera that includes most of the basic manual functionality we would expect, it feels partly lacking and clunky. There’s no electronic level and common white balance settings like “cloudy” or “daylight” are not marked. Custom white balance is only selectable via the Kelvin temperature which is a bit counter-intuitive without practice. ISO is limited to just ISO 100-800 and lacks the extended high and low range available on the ZenFone 4 Pro. The camera also lacks any sort of exposure value readout which makes estimation of fully manual exposures very difficult when compared to what I learned to expect of the ASUS ZenFone 4 Pro. Manual focus controls function fine but allow the user to adjust past infinity and there is no dedicated infinity setting like on the ASUS ZenFone 4 Pro and there are no focus aids like peaking. Sliding the focus slider to its far limit puts the lens distance past infinity, resulting in blurry photos so care must be taken when focusing. One of the strangest things about the HTC U11’s manual camera controls is that it’s missing some long exposure shutter settings. Above shutter times longer than 2 seconds, it’s not possible to choose third or even half stop increments. Furthermore, the interface is missing 4 seconds as possible shutter time selection. The slider jumps from 2 seconds, directly up to 8 seconds, a whole two stop jump. That makes tuning long exposures in that range much more difficult. It frankly seems like a mistake on part of the HTC designers. 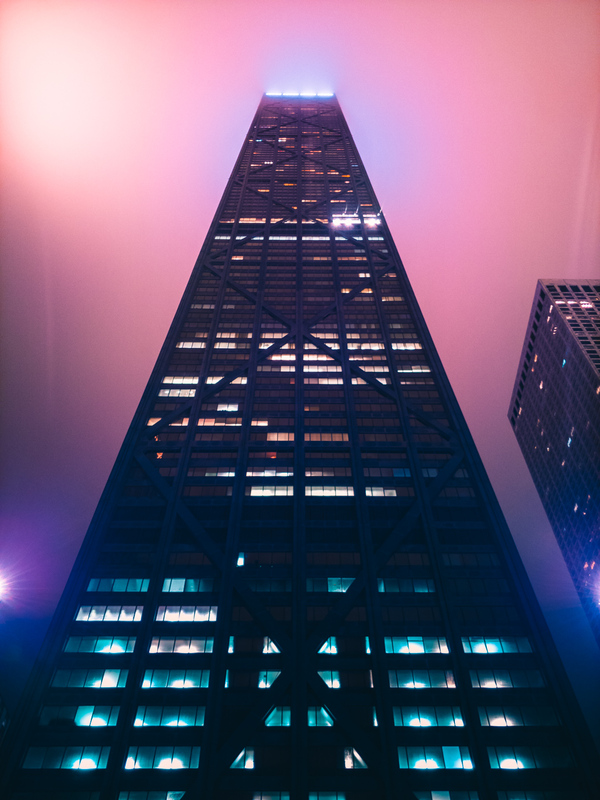 If a 2 second photo is a little too dark, good luck bumping it up just a stop, you’ll be forced to bump it up to 8 seconds if you want it to be brighter and that’s likely to be a little too much. Give us 4 seconds HTC. 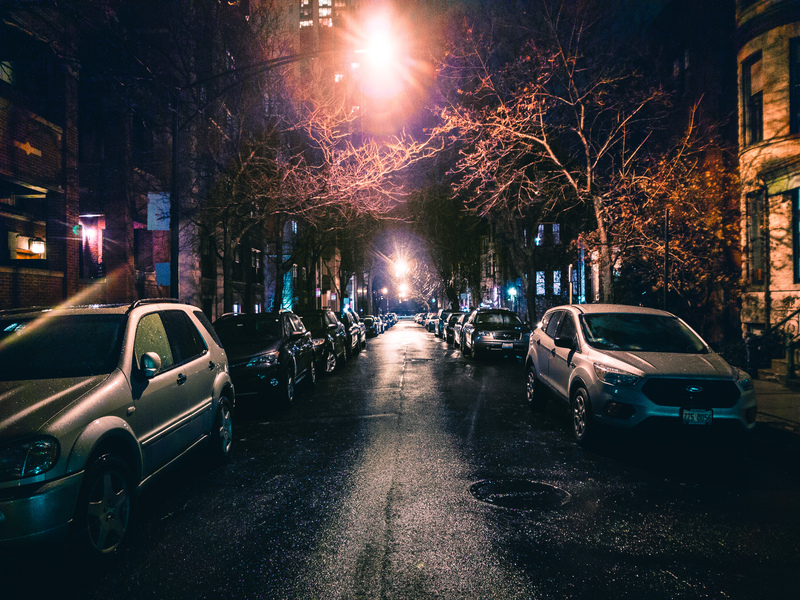 The exposure preview when shooting in low-light photos does not appear to reflect the brightness of the expected exposure. 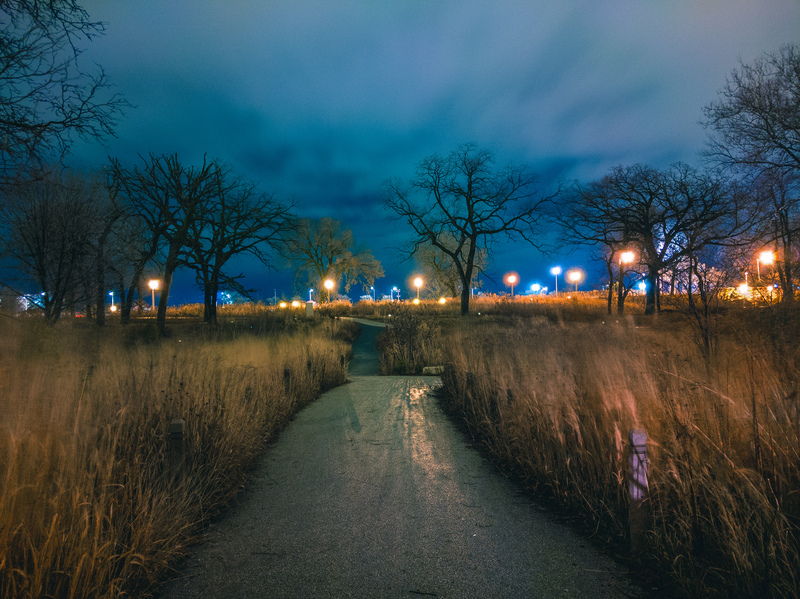 In general, shooting in dark conditions becomes a little more difficult since the preview tends to appear quite dark, especially if using a long shutter with a low ISO. Even at short shutter times, the camera also seems to have a lot of delay while exposing. When RAW exposures are enabled, there is about a half second delay after pressing the shutter while the phone says “Processing…” before the camera is available to use again. While the shutter reaction is fast upon pressing the button, the processing time makes the camera feel relatively slow. But the U11 has a few nice features, too. Each exposure parameter can be set to “Auto” and it offers 3 custom function modes. That makes it possible to save your favorite manual settings for any given situation as a custom mode that can be accessed later at any time. Want to force the camera to always use the lowest ISO possible while automatically choosing shutter speed? Set the ISO to 100 and shutter to auto and save it as a custom function. It’s also easy to reset all exposure parameters back to Auto by selecting the “Auto” program mode from the left-most control on the lower toolbar. Ultimately, the HTC U11’s camera interface seems rushed and unpolished. 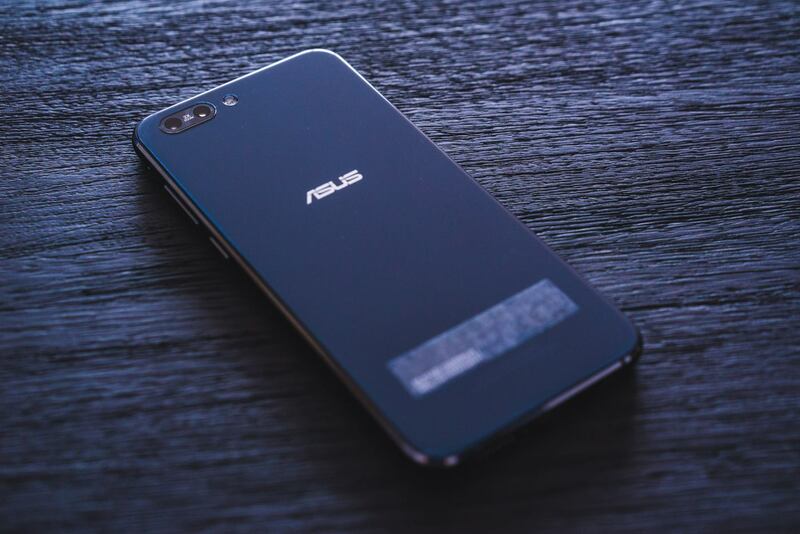 It’s a bit of a shame because we know the hardware is capable… it’s the same sensor as the ASUS ZenFone 4 Pro. It just seems that the software designers at HTC didn’t really take their manual camera software all that seriously. That said, the functionality is there. 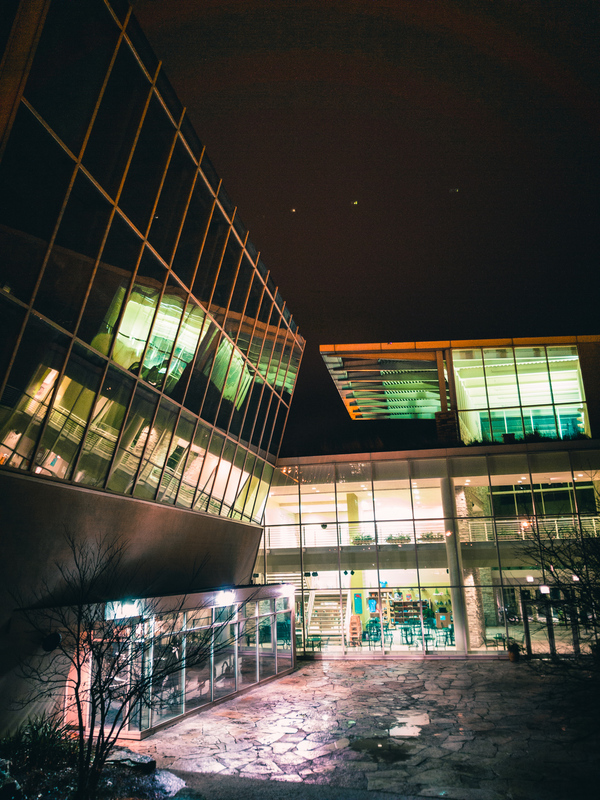 It’s usable and the resulting photographs, even at night, tend to be impressive… I just wish the interface to create said photographs was a little more friendly and fun to use. The LG V30 has slightly smaller sensors for its main and secondary cameras when compared with the HTC and ASUS above, but it also has the fastest aperture (f/1.6) on its primary shooter to make up for the slightly smaller sensor. In addition to the slightly faster f/1.6 aperture (not that the f/1.7 apertures of the previous cameras was bad), a unique feature of the V30 is the inclusion of an ultra wide angle f/1.9 lens. This secondary camera has a 120° field of view, an extremely wide angle that’s excellent for capturing wide sweeping landscapes. Personally, I find the wide angle lens to be more practical than the inclusion of a telephoto, particularly when shooting landscapes and cityscapes. 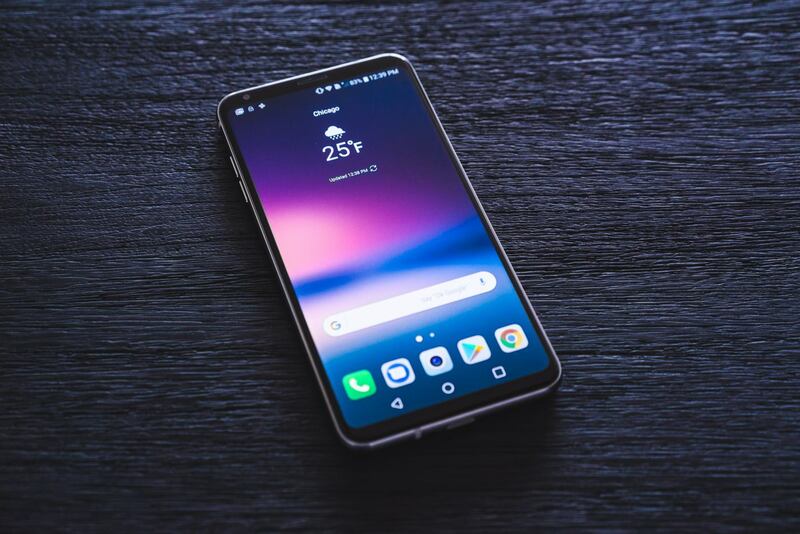 The like the ASUS ZenFone 4 Pro, the LG V30 defaults to Auto mode whenever the camera app is first opened from the home screen. The manual exposure controls can be opened by selecting the “Mode” button the left toobar, and selecting “Manual” mode. Unfortunately, if the camera is closed and re-opened, the camera resets to Auto mode. The LG V30 reminds me a little bit of the ASUS ZenFone 4 Pro in terms of control and user interface (based on the right-hand dial/slider). It has some of the same exact conveniences like an electronic level (although it only shows rolls and does not show pitch), f/number readout, a real-time histogram readout and a fast “Auto Reset” button that instantly resets all parameters to automatic. When an exposure parameter is selected for adjustment, the camera opens a dedicated slider/dial on the right side toolbar that allows for fast intuitive adjustment. For each parameter, an “Auto” button is always available above the slider to reset that exposure parameter back to automatic mode. Secondary controls like flash and color profiles are accessible from the left hand toolbar. A few useful features like tracking focus and location tagging control are hidden behind the settings button on the left-hand toolbar. It should be noted that HDR controls are only available in the camera’s auto mode. Unique to the LG V30 is their “Graphy” function which is accessible through the right-hand toolbar. Graphy shows a variety of example photos that allow users to select to mimic the exposure parameters necessary to mimic that type of photograph. It’s basically a way to assist with learning manual controls in order to achieve a certain look. I think it’s a novel idea that’s a little bit better than a one-size fits all “Auto” mode. It’s sort of like having dedicated “Sports” or “Night Portrait” or “Fireworks” modes. It should be noted that the V30’s manual focus controls are comparable to the ASUS ZenFone 4 and certainly better than the HTC U11. Once again, it possible to accidentally focus past infinity but the V30 offers something unique that we haven’t seen yet in our comparison: Focus Peaking. With Focus Peaking enabled, the interface draws bright teal lines on sharp, in-focus edges. It’s effective and very helpful for achieving manual focus in most conditions. That said, the feature is a little limited in low-light situations. Ultimately, if sharp focus is hard to achieve, it’s always possible to use the pinch-to-zoom function, then adjust focus and then zoom back out before taking a photo. It should be noted that manual focus is not available but also not necessary on the Ultra Wide Angle camera: it’s fixed at infinity which is fine given its ultra large depth of field. Everything from about a foot in front of the lens to infinity will be in focus when using the Ultra Wide Angle camera. I like that LG has common white balance setting (tungsten, daylight, cloudy, etc.) marked on its Kelvin white balance scale. I also like that the ISO range is relatively large: it goes from ISO 50 up to ISO 3200. When setting manual controls, the exposure compensation meter automatically reads out the expected exposure value, making it easier to judge manual exposures in tricky lighting. Overall, LG’s approach to their manual camera mode on the V30 shows that they care about making a very capable and easy to use camera. It’s full featured and intuitive to use and offers some things unavailable on the other camera models like the ultra wide angle camera. It has a couple quirks though: it resets to Auto exposure mode if the app is closed and there isn’t a dedicated “infinity” setting for the primary camera’s manual focusing. The Samsung Galaxy S8’s single main camera features a 12 MP sensor, either a Sony or ISOCELL model, depending on the region of the phone. Either sensor is supposed to be basically identical. They both sound similar in specification to the IMX362 that we have seen on the HTC U11 and ASUS ZenFone 4 Pro. Sensor size, pixel size, and resolution are all identical and so we should expect similar performance. The lens is a relatively fast 26mm equivalent focal length with an f/1.7 aperture. There’s no secondary camera on the S8. Hidden behind the S8’s settings menu are a few more useful and notable controls such as tracking AF, automatic distortion correction, self-timer and resolution selection. The S8 is the only phone in this comparison that gives quick access to exposure metering controls (Spot, center-weighted, etc.) directly from the main camera interface and it also boasts the fastest possible shutter time at 1/24000 of a second. That said, the phone also has a shorter possible long exposure time limit at a max of 10 seconds. One feature lacking on the S8’s manual camera controls is a way to quickly reset all exposure parameters back to “Auto”. Each parameter must be selected and then reset to Auto individually. It seems like a small omission but it can slow the workflow of the camera in some situations. The Galaxy S8’s exposure controls are otherwise very similar to the ASUS ZenFone 4 Pro and LG V30: select a parameter to change and it will open a slider/dial on the right sidebar that can be swiped to change that parameter. It’s simple and familiar and keeps the controls out of the way. The S8 lacks an electronic level and also lacks the ability to assign the ISO control to Auto when the shutter time is set manually. That means it’s not possible to shoot as if using a “shutter priority with auto ISO” mode. The inverse, however, works: you can set ISO manually and have the camera automatically control the shutter time. The exposure compensation control also acts as a meter readout, displaying your expected neutral exposure in EV stops (+/-2EV) which makes it easier to judge fully manual exposure settings. The overall operation of the Galaxy S8 is nice and fast. Focus is very fast to acquire and the shutter has nearly zero delay, even when RAW capture is enabled. I do wish that my copy of the S8 was a little better a hitting infinity focus in manual focus mode (I found some variation in success when trying to set manual focus to infinity) and I also wish the camera software allowed for exposures longer than 10 seconds. Other than that, the interface design of the S8’s manual camera controls is pretty good. The ZenFone 4 Pro camera user experience was very obviously designed by photographers for photographers that want the most out of their smartphone experience. Everything about the ZenFone 4 Pro will familiar to an experienced photographer. It offers many features we would only expect from a full-fledged DSLR, but in a user interface that’s faster and more friendly to use. Small details like a calibrated infinity setting for manual focus and an electronic level with both pitch and roll feedback are a couple the things that make the ASUS ZenFone 4 Pro stand out. Focusing and composing in dark conditions is certainly a challenge for many cameras. 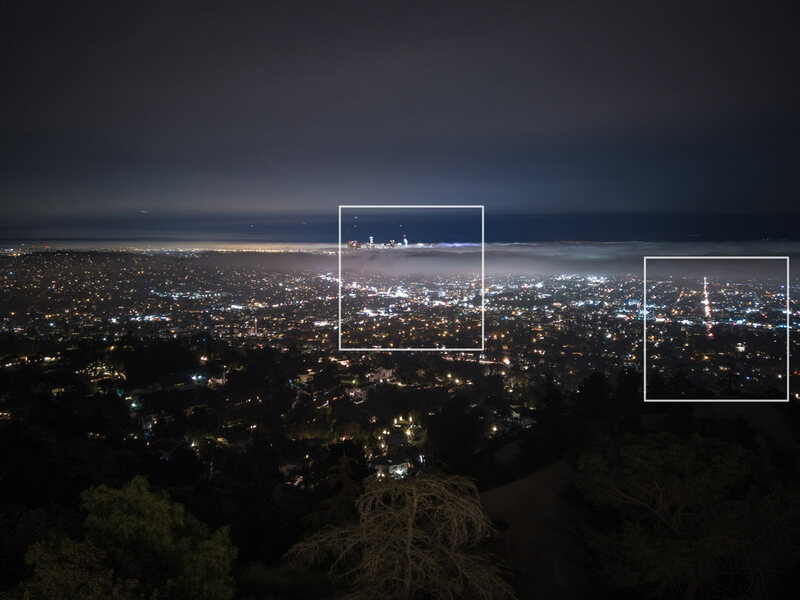 When we compare the 4 cameras in this review, we noticed some distinct differences in behavior when shooting in especially dark conditions. 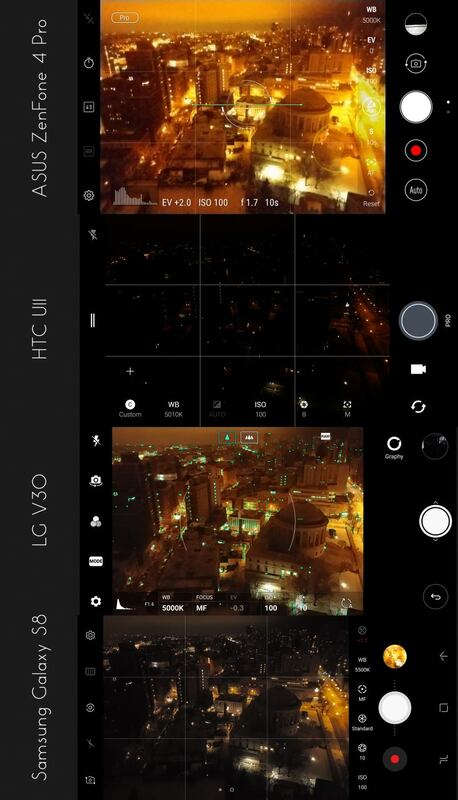 To compare each phone’s live view brightness, we dialed in a manual exposure of (roughly) 10 seconds at ISO 100. In the night cityscape conditions we were shooting, the exposure settings selected should be overexposed by at least 2 stops. As a result, we should expect each camera to show an overly bright preview image and an exposure meter pegged at +2 EV. What we actually got varied greatly from phone to phone. 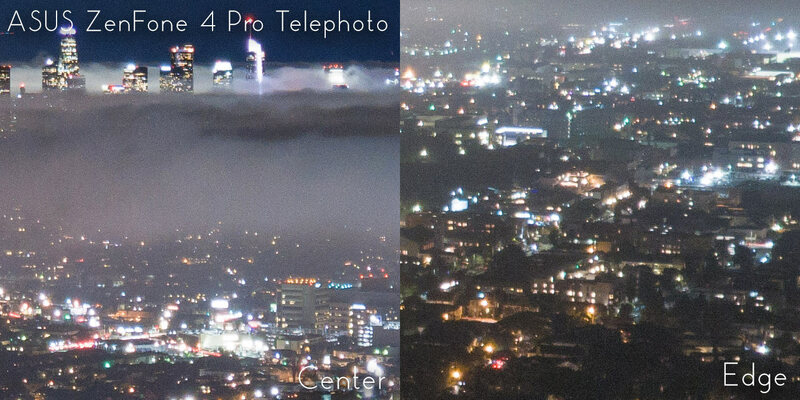 Live View and Exposure Simulation Comparison. Full Resolution. The ZenFone 4 Pro has the most accurate representation of brightness from what we should expect an image to look like if overexposed as we expect. The live view image looks bright as expected and the exposure meter reads “+2EV”, indicating that the camera expects the current settings to overexpose. The more I use the ZenFone 4 Pro, the more I think that the ASUS designers took the design of the camera in the ZenFone 4 Pro very seriously. The HTC U11 is overly dark and lacks an exposure meter reading entirely. For that reason, the HTC U11 is very difficult to use in dark conditions… it simply does not properly simulate exposure settings in the live view feed. It should be noted that when using the U11, increasing the ISO did boost the live view feed to be slightly brighter, which is helpful for composition, but we expected it to be brighter anyway in order to simulate our bright 10 second exposure setting. It would be a pain to need to increase the ISO just to compose and focus before needing to reduce it again in order to shoot the final exposure. The V30 appears to be relatively close to the ZenFone 4 Pro but the live view image is a little too dark and the exposure meter is mistakenly reading -0.3EV. It looks like the V30 meter readings are based off the life view image and that makes them not the most accurate in low-light. In moderately brighter conditions, I’ve found the V30’s live view to properly simulate exposure and the meter to be quite accurate. Looks like we’re just hitting the limit of the V30’s live view with this dark scene. Finally, the Galaxy S8 has a relatively dark live view image but it’s still reasonably adequate for composition. It’s certainly not a good visual representation of what we should expect but it would still be possible to frame a shot. That noted, the exposure meter properly reads “+2EV” as expected. If the ISO is changed to a higher value, the live view image also increases in brightness, similar to the HTC U11. That’s an indication that the S8 is not properly attempting to simulate exposure for the live view image. At least the meter readings are accurate. Overall, I think the ZenFone 4 Pro does the best job at showing a usefully bright live view image when composing at night. 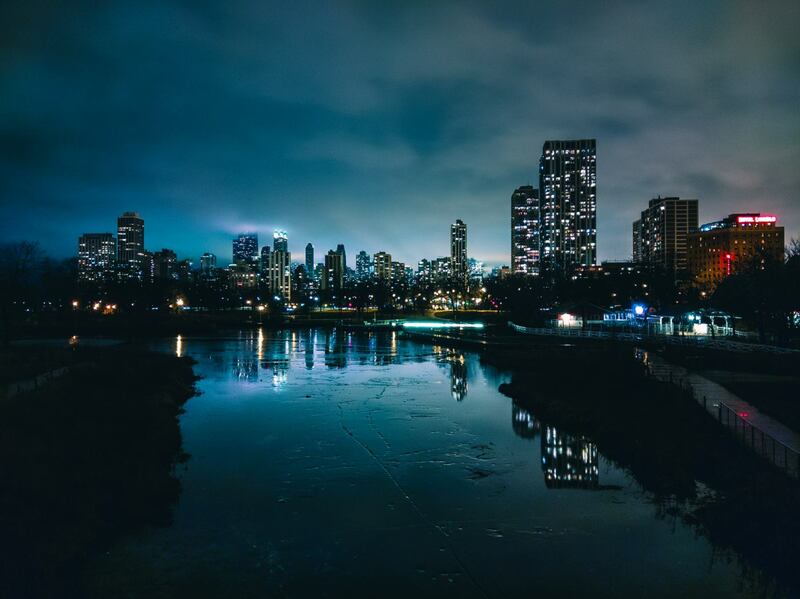 It’s live view feed is much more on par with what we should expect from a professional camera and that makes night composition and visually judging exposure easier. It’s meter seems pretty accurate in tough, dark conditions too. A great way to characterize the low light performance of a camera is to perform an ISO-invariance test. To perform the test, we shoot RAW photos at each ISO setting and then equalize the photo brightnesses in post processing to compare noise levels. The resulting comparison provides a characterization of the noise we can expect from each of those ISO settings in very dark conditions or highly underexposed portions of an image. Most modern camera sensors tend to benefit a little bit in very low light by using moderately boosted ISOs and that’s what we tend to expect from this test. Ultimately, we want to find the lowest ISO setting that still has adequately clean shadow details… that’s usually the best ISO setting to use in very dark shooting conditions, especially when we are shutter speed limited. 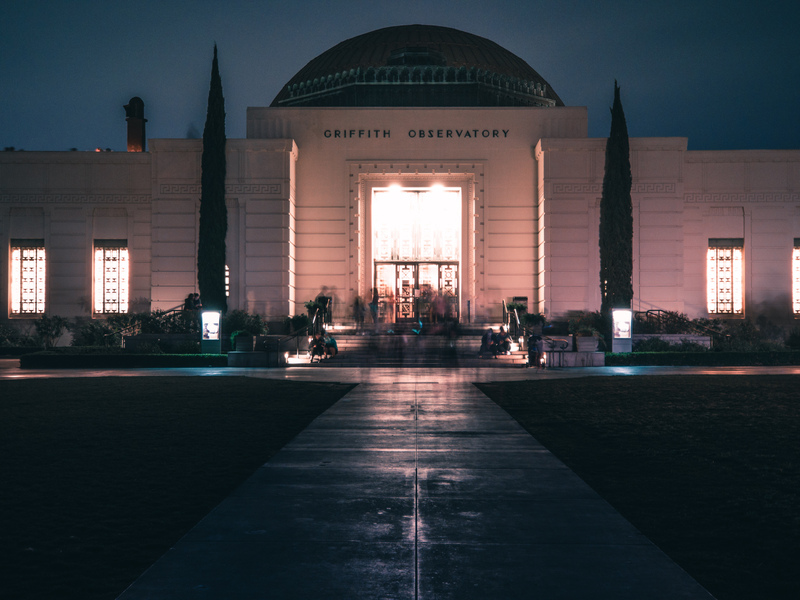 I took a trip to the Griffith Observatory in Los Angeles for this test. 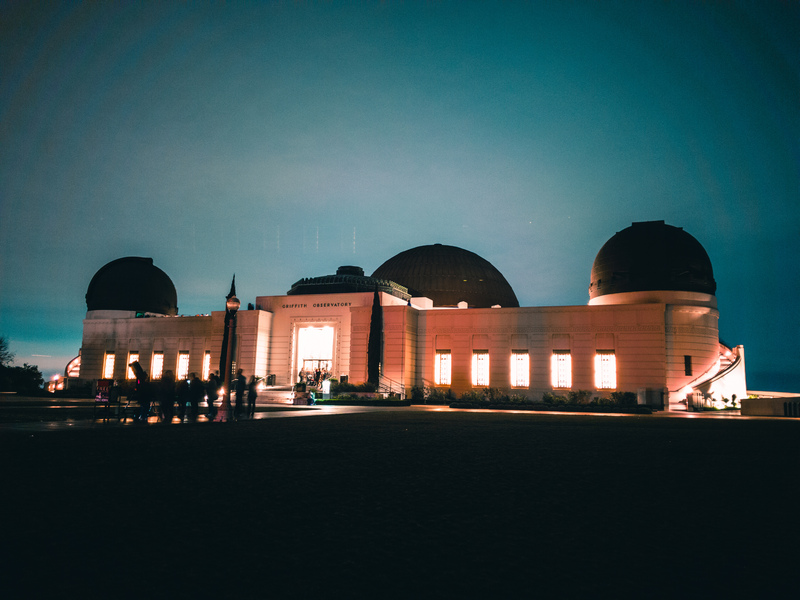 The Observatory is a great test of low-light performance because it offers reasonably dark shooting conditions with the challenge of the adjacent brightly lit Los Angeles basin. Each phone was set up individually on the same tripod to frame roughly the same shot. All the phones were set to a rough exposure equivalent that attempts to match 1/15th and f/1.7. Since each camera has a different maximum aperture, the shutter time was accordingly adjusted for reciprocity. For example, the ZenFone 4 Pro’s telephoto lens has an f/2.6 aperture, almost 2 stops slower than f/1.7 so I compensated with a shutter time of 1/4th of a second. Once set up, the camera was held at one shutter time and the ISO was adjusted in full-stop increments across the ISO range capability of the camera from lowest to highest. All photographs were recorded in RAW. 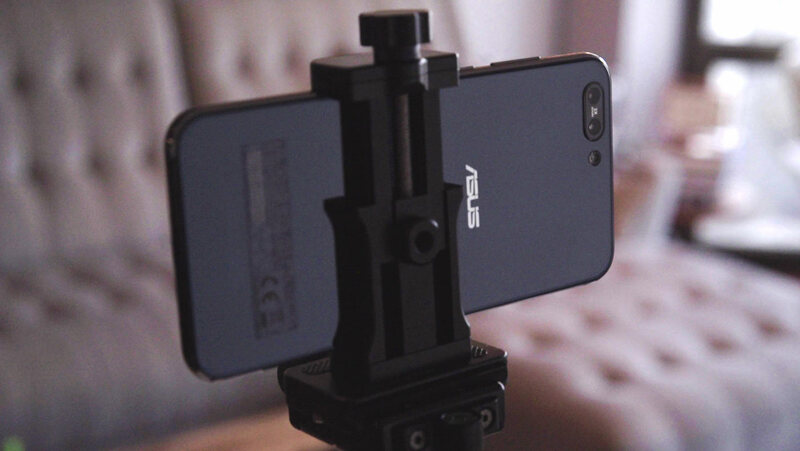 For the ASUS Zenfone 4, we have two sets of ISO-invariance tests: One for the standard lens camera and one for the telephoto lens camera. Each camera uses a different sensor so it’s important that we shot with each to see if there are any differences. Immediately, both of the the Zenfone 4 Pro cameras appear to be nearly ISO-less or ISO-invariant. There is barely any difference between the different ISO settings in terms of noise. 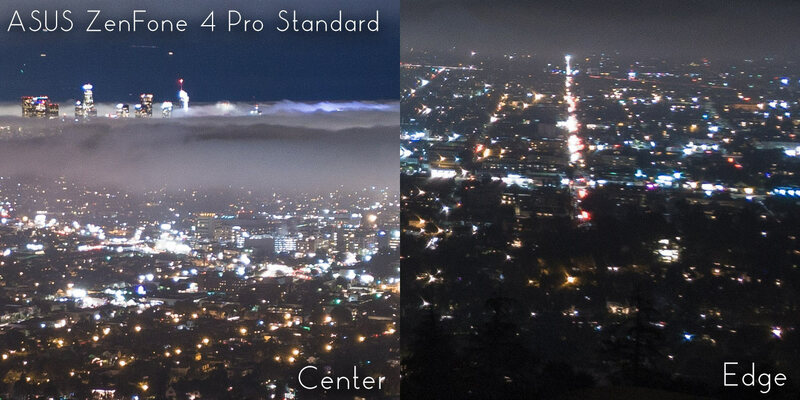 From ISO 100 to ISO 3200, the amounts of noise look pretty much the same for both cameras. There is a small loss of highlight detail for ISOs of 1600-3200, indicating that we’re losing a little dynamic range at those settings. The lowest ISOs, 25 and 50, are a little bit noisier in the shadows and there is a slight color shift at these lowest settings. Upon the closest scrutiny, it looks like there’s a little bit of benefit to the shadows by shooting at ISOs of 400 and higher. For the best results in very low-light photography, use the ASUS Zenfone 4 Pro at ISOs of 400 and higher. But overall, most of the ISO settings look similar enough that we don’t really need to worry about it too much. The HTC U11 has the most limited ISO range of our 4 phones in the comparison and no secondary camera so there are only 4 test frames needed to test for ISO-invariance. The first thing that we notice is that the ISO 100 setting has a prominent color shift in the shadows and higher levels of noise versus the other settings. ISO 200 is much cleaner and ISO 400 even cleaner still. ISO 800 looks almost identical to ISO 400. Overall, ISO 200 to ISO 800 are very similar. Shadow details are relatively clean across these settings and overall color saturation seems to be greater out of the camera than the ASUS ZenFone 4 Pro. For the best results with the U11 in low-light scenarios, the story is very much the same as the ZenFone 4 Pro: Stay at or above ISO 400 for the best shadows. Avoid ISO 100 if you’re in very dark conditions since shadow details are not well retained and dark areas tend to have an ugly magenta color shift. It’s strange that ISO 100 has this issue on the U11 while the ZenFone 4 Pro, which shares the same sensor on the primary camera, does not. The LG V30 shares some of the same limitations at ISO 100 and lower that we saw with the HTC U11: shadow details are shifted to magenta color and noise is more of a problem at these low ISOs. The ugly shadows tends to be more of an issue on the primary camera, but still shows a bit with the V30’s wide angle camera, too. From ISO 400 and higher, the results look nearly identical, a familiar story to the other phones in this comparison. The V30 is also more saturated, like the U11, which makes me think that the ASUS Zenfone 4 Pro is actually the exception with its more subued and desaturated images. Overall, the test indicates that photographers should stay at ISO 400 and higher for the best results in low-light with the LG V30. At these higher ISOs, details are relatively clean and noise levels aren’t too bad. Most of all, recovery of the darkest areas of the photograph will be easier at these slightly elevated ISO settings. Just keep in mind that a little bit of highlights will start to be lost at the highest of ISOs. The Samsung Galaxy S8 looks to be as ISO-invariant as the ASUS ZenFone 4 Pro, albeit with a narrower total ISO range (only ISO 50 to ISO 800). Upon initial inspection, there is little difference between ISO 50 and ISO 800 in terms of noise. But with a closer look, it appears that ISO 200 and higher seem to be the cleanest. ISO 100 has a little bit more shadow noise. Other than that, the Samsung S8 is nicely ISO-invariant. If you want to ensure the cleanest shadows for recovery in post-processing, ISO 200 and higher is recommended on the Samsung S8. It’s notable that the RAW files out of the S8 are just a tad more desaturated than those from the U11 and V30 but still more vibrant than the rather flat images form the ASUS Zenfone 4. Overall, I’m pretty happy with how the Samsung Galaxy S8 and the ASUS ZenFone 4 Pro performed across their ISO ranges. Both these phones’s low-light images are super clean across the ISO range. A special commendation should go out to the ZenFone 4 Pro as it’s able to keep consistency across the widest ISO range of all the phones. The lower ISO settings on the V30 and U11 suffer from increased chroma noise and a magenta shift. That said, the results from the LG V30 and the U11 aren’t bad… they’re just different and we should use these phones’ cameras accordingly. If shooting in very dark conditions, photographers with the V30 and U11 should be cautious of using the lowest ISOs as those settings tend to make shadow recovery more difficult. Strangely, it seems that the improved low ISO performance of the ZenFone 4 Pro must be due to some kind of downstream processing that ASUS is implementing because the it shares the same sensor as the U11. We would have expected both the U11 and the ZenFone 4 Pro to behave the same since the sensors are the same but that doesn’t seem to be the case. 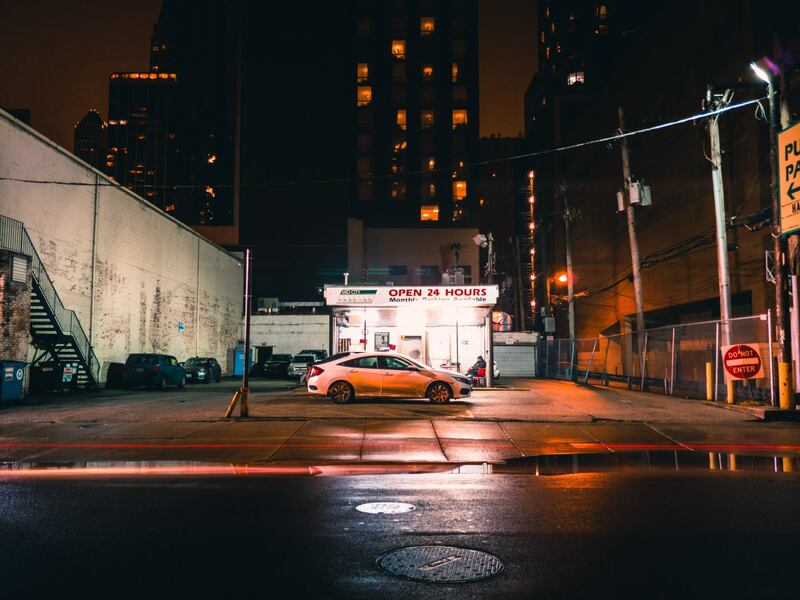 For all the phones, low-light shooting usually calls for a small bump in ISO, usually to about ISO 400 or higher for the best retention of shadow details and the least shadow noise. Directly comparing noise levels between each phone camera is a little bit tricky due to a few factors: sensor sizes and lens speeds are different between all these phones. That said, it’s still a way to characterize which phone is making the best use of its hardware for any given standard exposure settings. 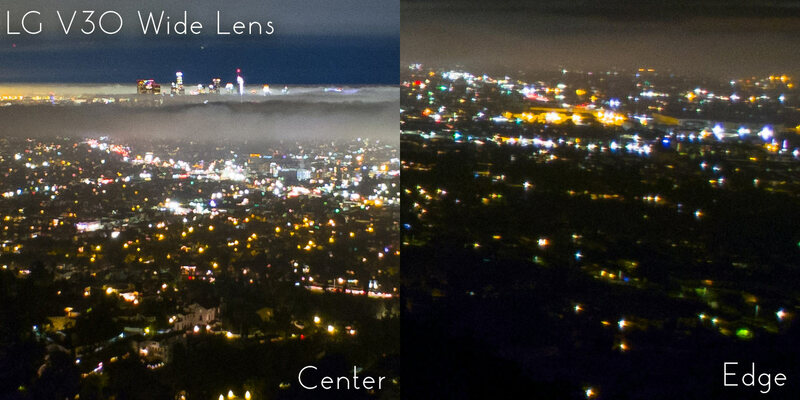 Here’s a comparison of ISO 800 shots between each camera. I’ve decided to use ISO 800 has the benchmark since it’s one of the best (cleanest) settings on all the phones when it comes to shooting low-light. Keeping up with trends, the ZenFone 4 Pro looks cleaner than any of the other phones in terms of overall noise. There’s nearly no color noise which tells me that ASUS is likely applying some different downstream processing than the other manufacturers. That’s good and bad news. Straight out of the camera, the images from the ZenFone 4 look cleaner. Noise is reduced compared to the competition and shadow detail seems to be better. That said, it also means that ASUS is processing out some color information and it’s likely the cause for RAW images that tend to look rather flat and dull. The U11 actually looks just like a more saturated version of the ZenFone 4 Pro’s primary camera… they share the same Sony IMX362 sensor so similarities are pretty much expected. I imagine that if ASUS was not baking their color noise reduction into their RAWs, they’d look a lot like the images from the U11. Other than a bit of chroma noise, the U11 images are comparatively nice. Grain is fine and shadow details are still sharp. The LG V30 primary camera seems to take a bit of a hit in noise performance despite its fast f/1.6 lens… this is likely due to the fact that the V30 primary camera is using a smaller 1/3.06″ sensor versus the 1/2.55″ in all the other phones’ primary cameras. There also seems to be some heavy noise reduction processing baked in. Dare I say, it look surprisingly similar to Sony’s star eater post-processing. The shadow details seem a bit more muddied up by the processing and overall fine details are more smeared in appearance. Fine bright pinpoint lights also look a bit mushy. It looks like the f/1.6 lens on the LG V30 is not as much of a bragging right for low-light photography as we initially thought. 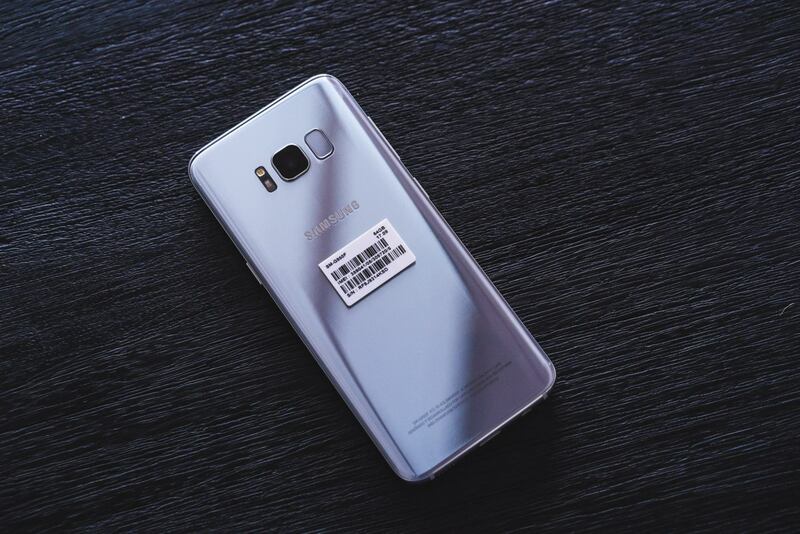 Finally, the S8 looks pretty similar to the U11. Some color noise is present but fine details are preserved and grain is relatively fine. Making out shadow details is not quite as good as the U11 or ZenFone 4 Pro, but it’s better than the LG V30. Once again, the ASUS ZenFone 4 Pro leads the pack. It’s clear that the ZenFone 4 Pro out performs the competition in low-light shooting. Its extended ISO range is useful at all settings and shows similar performance from ISO 25 all the way up to ISO 3200. Its RAW images do appear more muted straight out of the camera but that’s something that can be easily adjusted for in post processing. 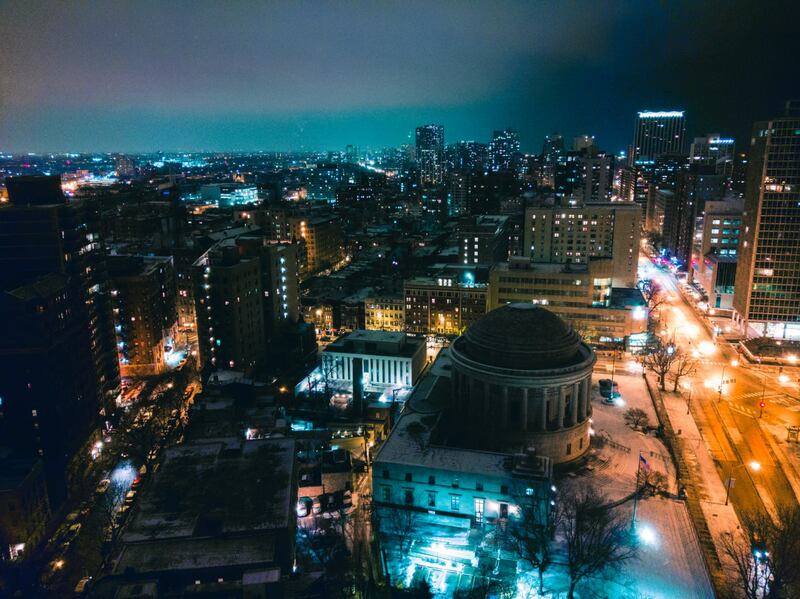 Night photography is notoriously challenging for camera lenses. Bright pinpoints of light are some of the most telling indicators of lens aberrations. Given the extremely small lens designs found in smartphone cameras, we don’t really expect jaw-dropping performance from any of these cameras when it comes to sharpness or aberration performance. 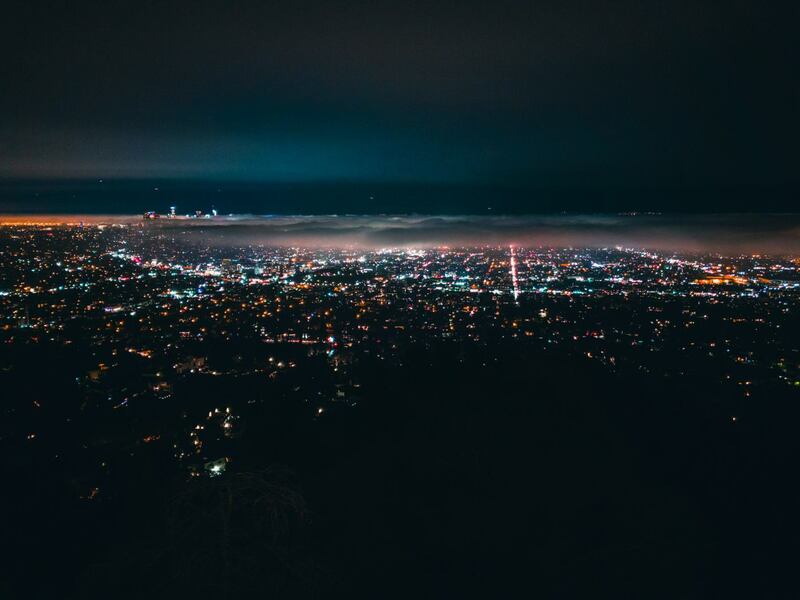 To test these cameras out, we shot some photos of the Los Angeles basin from Griffith Observatory. The distant city lights make for a perfect test of aberration performance. 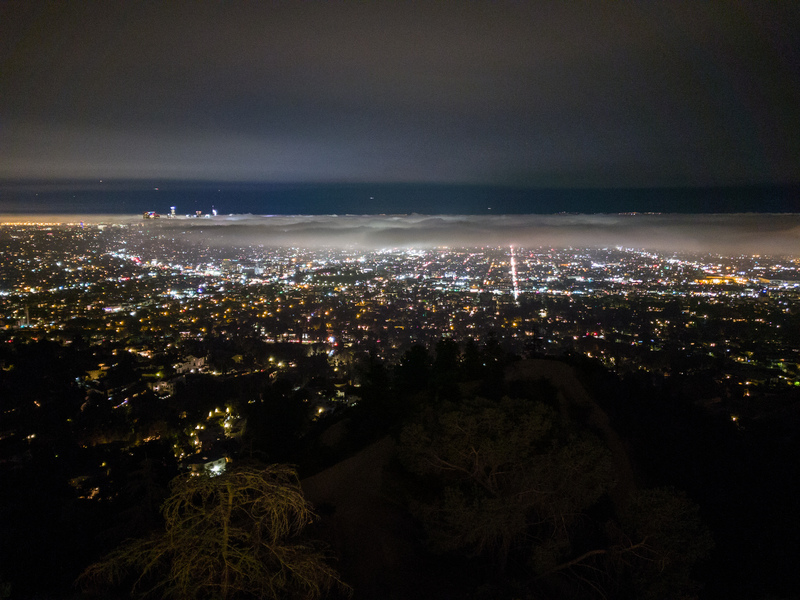 Each phone camera was used to shoot a similar photograph of the LA basin. 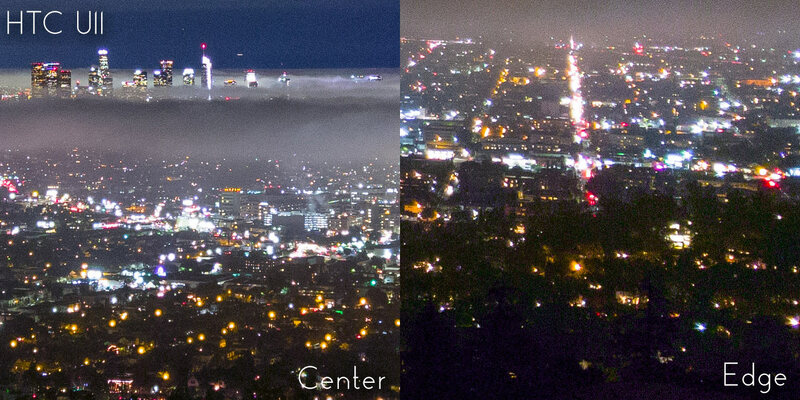 There are some differences in composition between these test frames due to changing conditions (crowds forcing me to move and marine layer) but they all have city lights across the width of the frame. 100% crops from each test frame are shown below. Full resolution photos of the full frame are available in the captions. ASUS ZenFone 4 Pro Aberration and Sharpness Test: Standard Lens Camera. Full Resolution. ASUS ZenFone 4 Pro Aberration and Sharpness Test: Telephoto Lens Camera. Full Resolution. The ASUS ZenFone 4 Pro show good sharpness from both its standard and telephoto lens cameras when looking at the center of the frame. The standard lens, however, shows some noticeable coma aberration and a little bit of sharpness reduction at the edge of the frame. The telephoto lens camera is surprisingly sharp at the edge of the frame with very little aberration to speak of. HTC U11 Aberration and Sharpness Test. Full Resolution. The HTC U11 looks even a tad better than the standard camera on the ASUS ZenFone 4 Pro in the center of the frame. The distant buildings of downtown Los Angeles and the adjacent valley areas are very sharp and finely detailed. The edge of the frame takes a tangible hit in sharpness but the aberrations are a little less strong when compared to the ASUS ZenFone 4 Pro. Overall, I think the U11 is pretty impressive in the sharpness department. LG V30 Aberration and Sharpness Test: Standard Lens Camera. Full Resolution. LG V30 Aberration and Sharpness Test: Wide Angle Lens Camera. Full Resolution. The LG V30 show some issues with sharpness in long exposure night photography. The images have low levels of noise but also look a little bit smeared, likely due to a baked in noise reduction algorithm. The resulting photos have taken a tangible hit in sharpness when compared to the Zenfone 4 Pro and HTC U11. A close look at pinpoint light sources shows some that look like donuts… a tell-tale indication that the V30 is implementing a similar noise reduction algorithm as the Sony star eater issue found on Sony Alpha cameras. Note that these are samples made from RAW recorded files so there’s no way to disable the noise reduction as far as I can find. Had the V30 not had the issues with this overzealous noise reduction, I think the center images are relatively aberration free. The edges of the standard lens camera are decent with low levels of aberration but the wide angle lens has a few problems with coma or astigmatism aberration. It’s clear that LG is prioritizing noise over sharpness. The photos look nearly noise free when compared to the competition but they’re also lacking in fine detail. Samsung Galaxy S8 Aberration and Sharpness Test. Full Resolution. The Samsung Galaxy S8 shows good sharpness in the center of the frame and similarly good performance on the edges as well. Even though sharpness looks to be better than that of the LG V30, there are still some tell-tale signs of some strange noise reduction being applied: fine pinpoint light sources look like donut shapes with darker centers. It seems that the S8 is also applying some kind of noise-reduction that compromises the appearance of fine pinpoint light sources. It doesn’t appear to be nearly a detrimental as on the LG V30, but it’s still present. There is a small amount of winged aberration present on the edges of the photo but overall sharpness is very good. It’s overall very similar to the HTC U11 in sharpness and aberration performance. If the HTC U11 gets one thing right, it’s image quality. While I can criticize the U11’s user interface and limited ISO range, image quality really is truly impressive. The sharpness of images made from its single primary camera is excellent and its aberration performance in low-light shooting is quite good. Designing high performance lenses that at so small is no simple engineering feat and HTC has excelled on the U11. Ultimately, the low light capability of all these smartphones is impressive and their inclusion of manual controls in their camera apps opens a world of possibilities for night photography. I spent several nights in both Los Angeles and Chicago shooting photos of these beautiful cities with each of these smartphones. Many of the long exposure and light-trail photos required the use of an accessory clip-on thread and neutral density (ND) filter to achieve long shutter times. Below is a gallery of my shooting adventures with each of these phones, along with a few more notes on what it was like making the shots and using the phone. 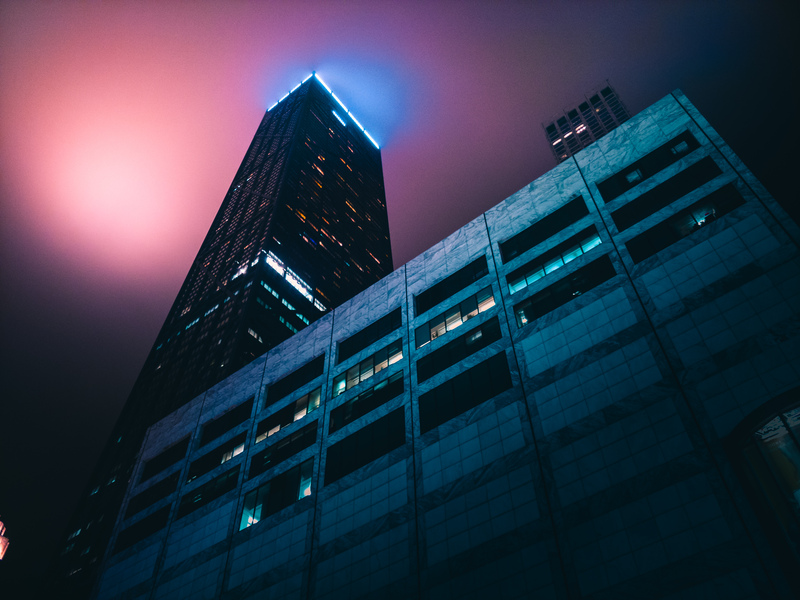 All of these photos were edited in Adobe Lightroom CC Classic using my Urban Dreams preset pack. Chicago Water Tower. ASUS ZenFone 4 Pro. 20s, f/1.7, ISO 25. ND Filter. Full Resolution. Shooting light-trail long exposures of traffic with the ASUS ZenFone 4 Pro is easy: the low ISO range goes to ISO 25 which allows extended shutter times in relatively bright scenarios, like this scene of Chicago’s old Water Tower along the city’s Magnificent Mile. Here, the lower ISO range allowed me to shoot ultra long 20 second exposures where a smartphone that was limited to ISO 100 would only be able to use a 5 second exposure time. Chicago Theater. ASUS ZenFone 4 Pro. 2.5s, f/1.7, ISO 25 Full Resolution. The low ISO capability of the ZenFone 4 Pro also benefits the smartphone camera’s dynamic range. 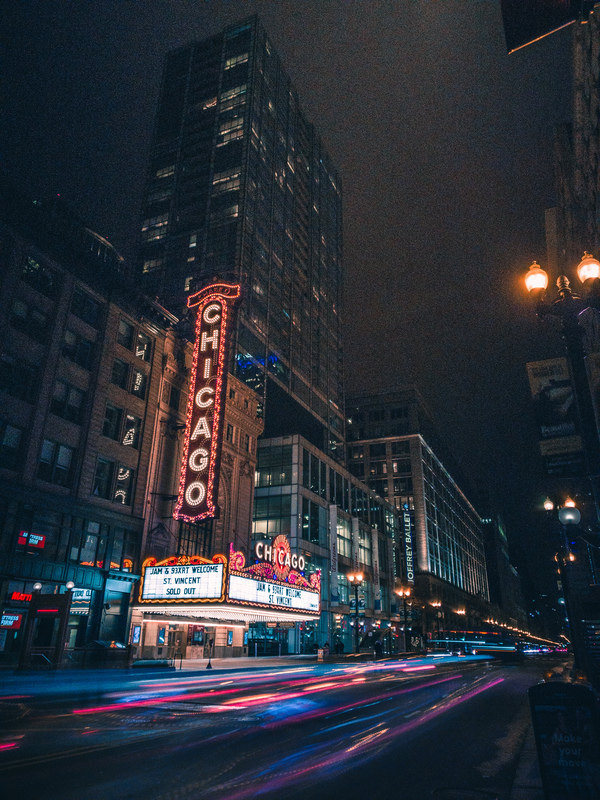 While shooting the very bright signs of the Chicago Theater, I was able to underexpose the scene to preserve the detail in the highlights of the image and then lift the brightness of the shadows in post processing for a high dynamic range look. There’s a little bit of noise but it’s impressive given the extreme dynamic range of the single exposure. Chicago River. ASUS ZenFone 4 Pro. 20s, f/1.7, ISO 25. ND Filter. Full Resolution. The ZenFone 4 Pro feels like using a touchscreen DSLR and the photographs that it produces look like they could be made with a much larger sensor camera. While its RAW files do start off looking very flat and unsaturated straight out of the camera, they respond well to some adjustment in post processing. 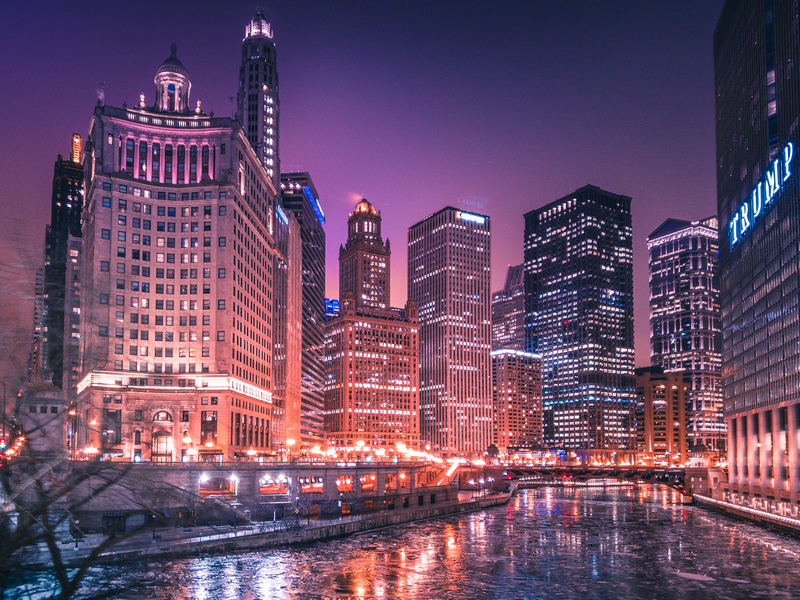 DuSable Bridge, Chicago. ASUS ZenFone 4 Pro. 8s, f/1.7, ISO 25. Full Resolution. When I set out with the ZenFone 4 Pro, it was, to say the least, very cold, dropping to below 20°F with a strong wind for much of my shooting time. 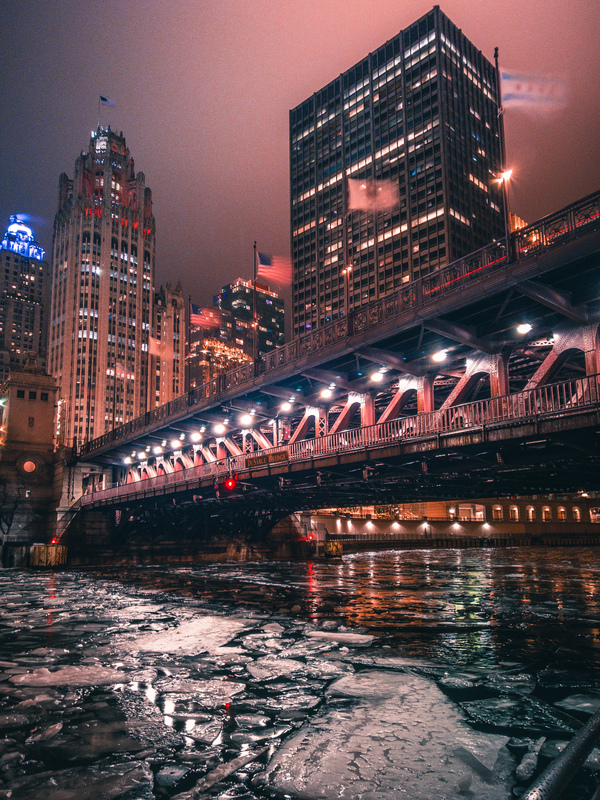 I feel like this image of the DuSable Bridge and the partially frozen Chicago River capture just a little bit of the cold feeling I experienced that night. When I look at this image, I feel it’s sometimes hard to believe that it was made with a smartphone. 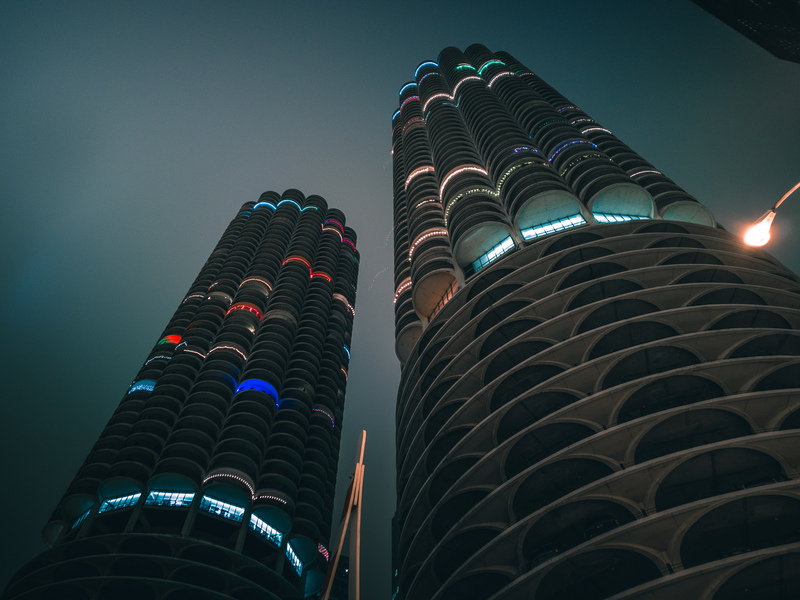 Marina City Towers, Chicago. ASUS ZenFone 4 Pro. 20s, f/1.7, ISO 25. ND Filter. Full Resolution. Walking through the downtown Chicago area called for almost exclusive use of the standard wide angle camera on the ASUS ZenFone 4 Pro. I think the 25mm focal length is comfortable for 90% of shooting with the ZenFone 4 Pro and I found myself rarely wanting to use the telephoto camera. Downtown Los Angeles. Asus ZenFone 4 Pro Telephoto. 4s, f/2.6, ISO 25. Full Resolution. That said, the telephoto camera on the ZenFone 4 Pro is one of those things that you don’t realize you love until you need it. 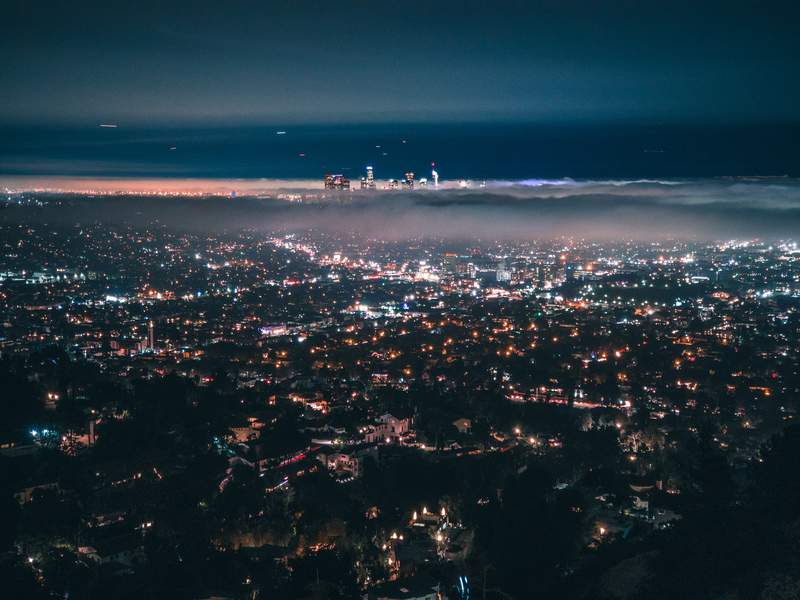 When shooting in Los Angeles at the Griffith Observatory, the extended 50mm focal length was much more appropriate for capturing the distant skyline of downtown LA. While the telephoto lens is not as fast as the primary camera, it’s still very capable of low-light shooting with the proper exposure settings and a tripod. 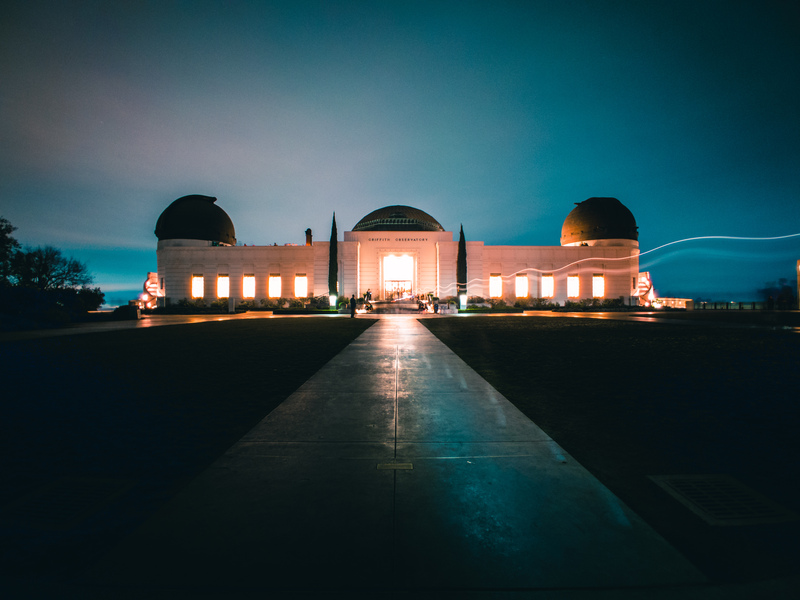 Griffith Observatory, Los Angeles. Asus ZenFone 4 Pro Telephoto. 20s, f/2.6, ISO 25. Full Resolution. Overall, I didn’t know what to expect from the ASUS ZenFone 4 Pro when I started this comparison review. Taiwanese ASUS is more well-known for their affordable laptop computers than their smartphones and is rarely viewed as a major competitor to the big Korean names like Samsung and LG. I honestly expected the ASUS to trail behind in this comparison just due to its obscurity in the realm of the smartphone world. At the end of it all, I was blown away and left very impressed by the ZenFone 4 Pro and the images that it made. 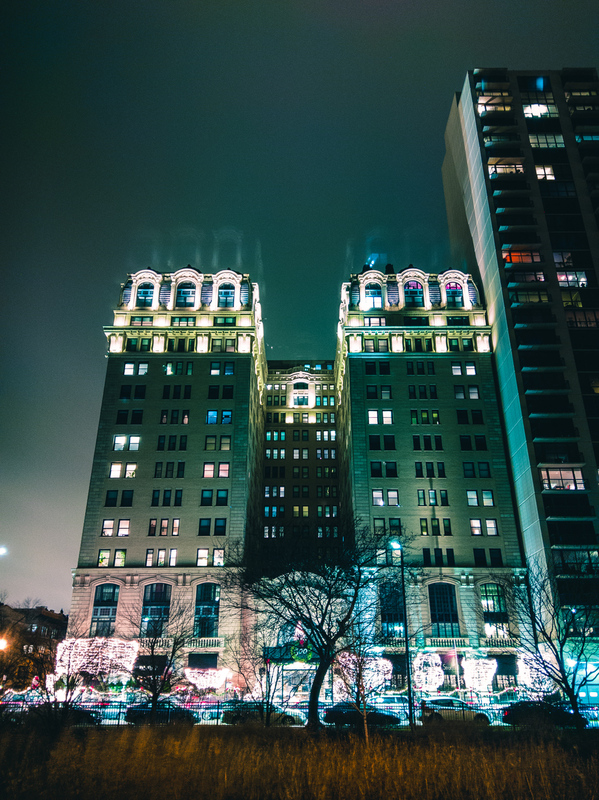 Belden Stratford, Chicago. HTC U11. 32s, f/1.7, ISO 100, ND Filter. Full Resolution. My early outings with the HTC U11 were, to say the least, a bit frustrating, mostly because of the way live view exposure simulation works (or, rather doesn’t work) and the fact that there is no exposure meter readout. 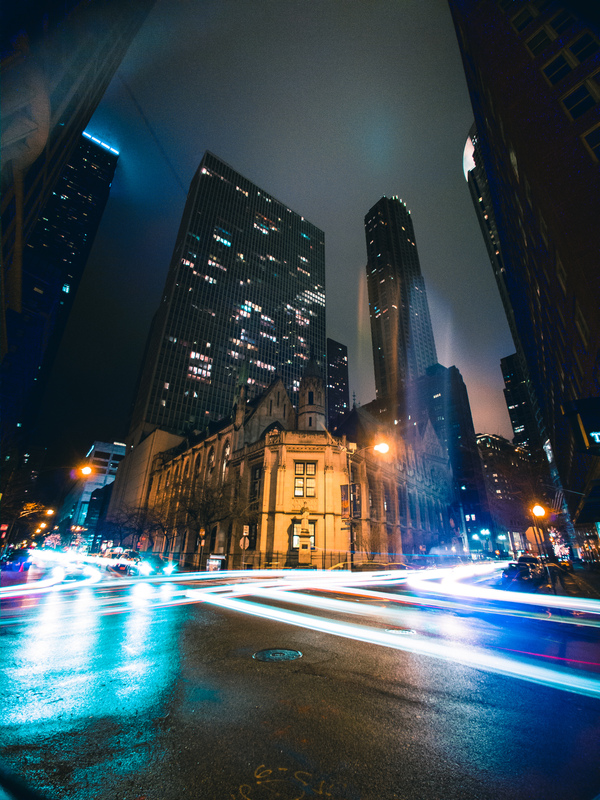 Even shooting a long exposure of the well lit Belden Stratford building along Chicago’s Lincoln Park was a game of trial and error. It took me several tries to find the right combinations of settings after waiting for each exposure to complete. Lakeview, Chicago. HTC U11. 1s, f/1.7, ISO 100. Full Resolution. After a bit of practice with the U11 in any given condition, it’s not too difficult to improve at making manual exposures, it just takes some time to try one exposure, review the results and adjust accordingly. Despite some of the difficulty to nail exposure on the first try, I must say that I was constantly impressed with the quality of the photos made by the HTC U11. Lincoln Park, Chicago. HTC U11. 8s, f/1.7, ISO 100. ND Filter. Full Resolution. Details tend to be very sharp and dynamic range of the results RAW files is generally very good. I wish desperately that HTC included a 4 second exposure stop on the shutter time adjustment slider. It’s generally very difficult to be forced to switch between as large a range as 2 and 8 seconds, especially when we also cannot select partial stop ISO settings. 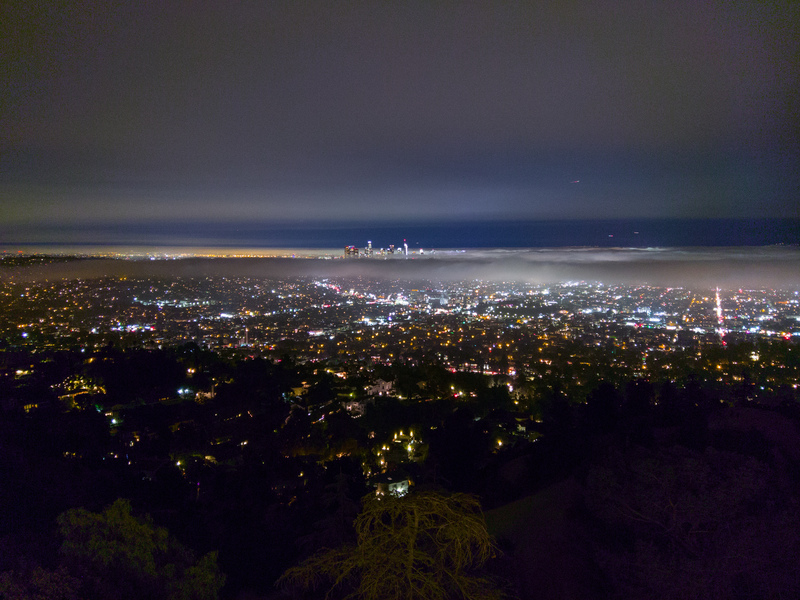 It’s not impossible to get a decent long exposure, but it’s such a strange thing for HTC to leave out. 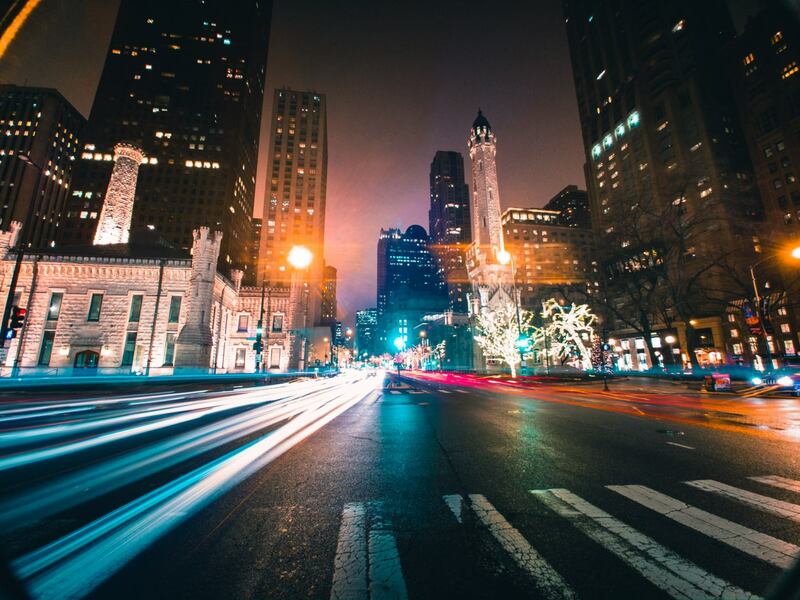 Michigan Avenue, Chicago. 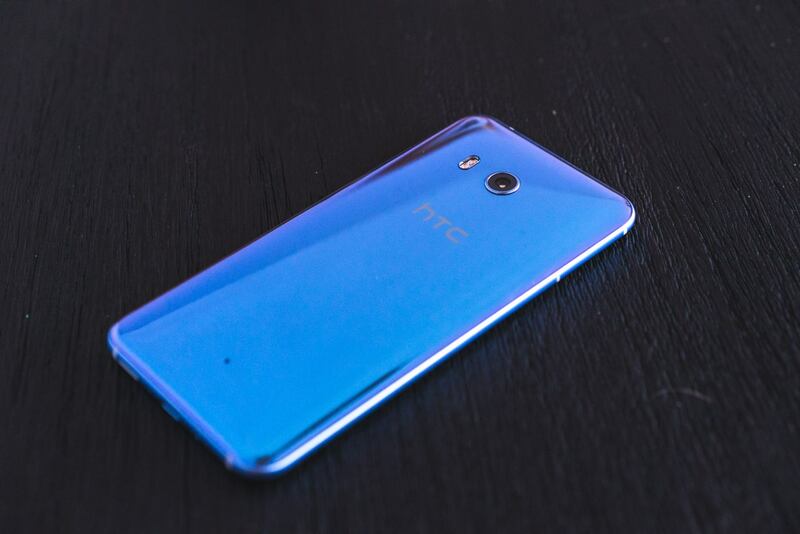 HTC U11. 8s, f/1.7, ISO 100. Full Resolution. No doubt, the hardware of the HTC U11 is capable, but the smartphone is crippled by sub-par software. It’s a shame because I really enjoy the photos that the U11 makes once the right exposure is found. 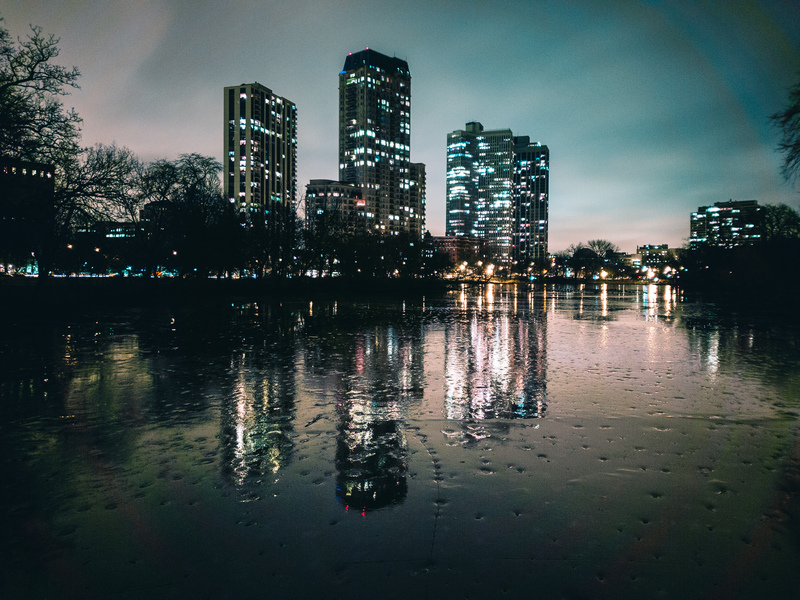 South Pond, Lincoln Park, Chicago. HTC U11. 2s, f/1.7, ISO 100. Full Resolution. Taking a close look at night cityscapes made on the U11 is a great example of how good the lens of its camera really is the image is sharp from edge to edge and pinpoint light sources are rendered as such with very low amounts of aberration. 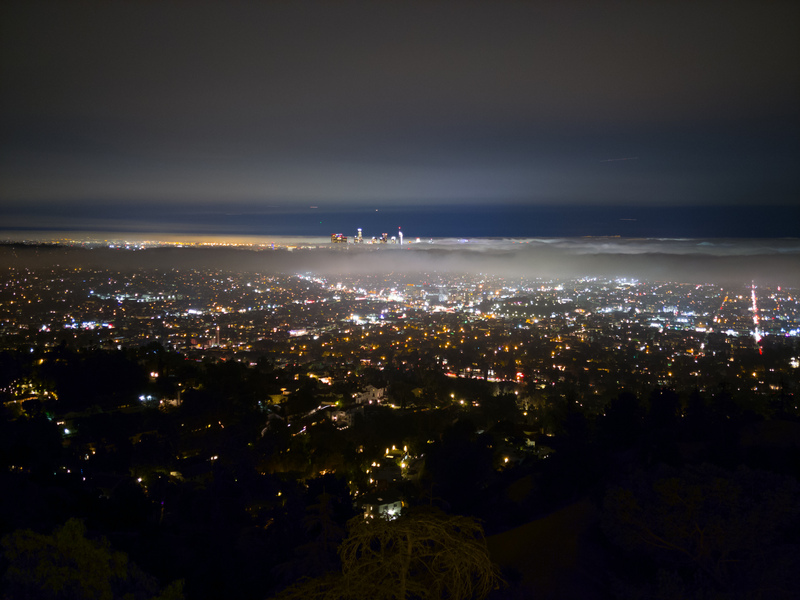 Los Angeles from Griffith Observatory. HTC U11. 1s, f/1.7, ISO 100. Full Resolution. Something undesirable that I noticed on certain shots with the U11 was an uneven colored vignette. 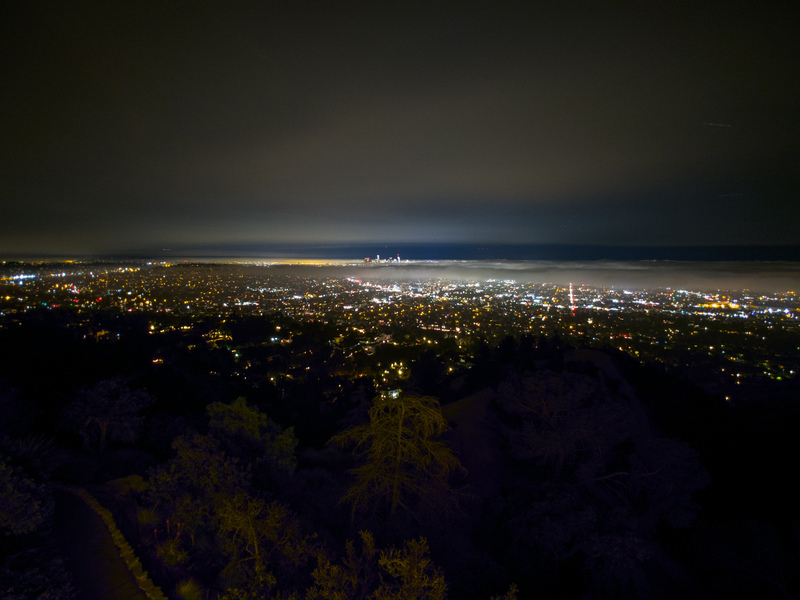 In this image of the Los Angeles basin from Griffith Observatory, you can see that that is a greenish circular halo visible in the periphery of the sky. I believe that this is due to a software vignetting compensation that HTC is applying to the U11 RAW files. 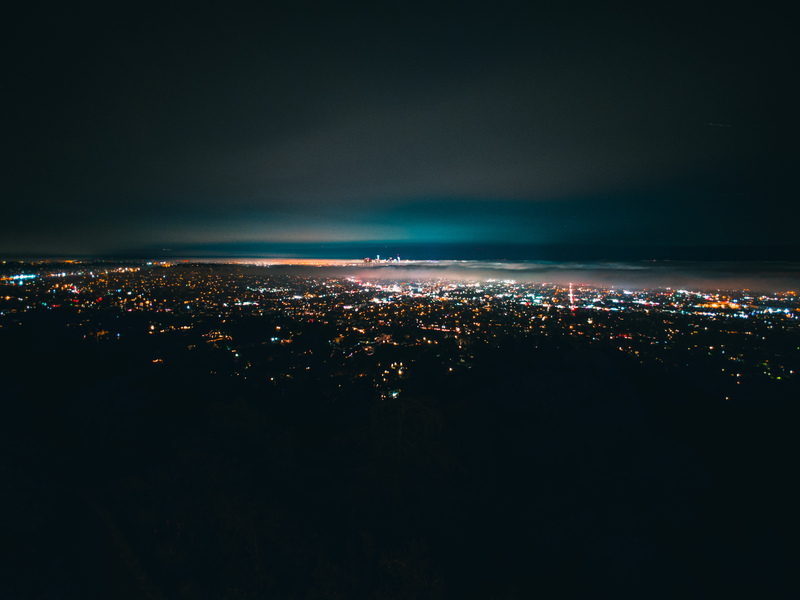 It’s not visible in all photographs but it can be detrimental in dark situations with smooth gradients like this portrait of Los Angeles. 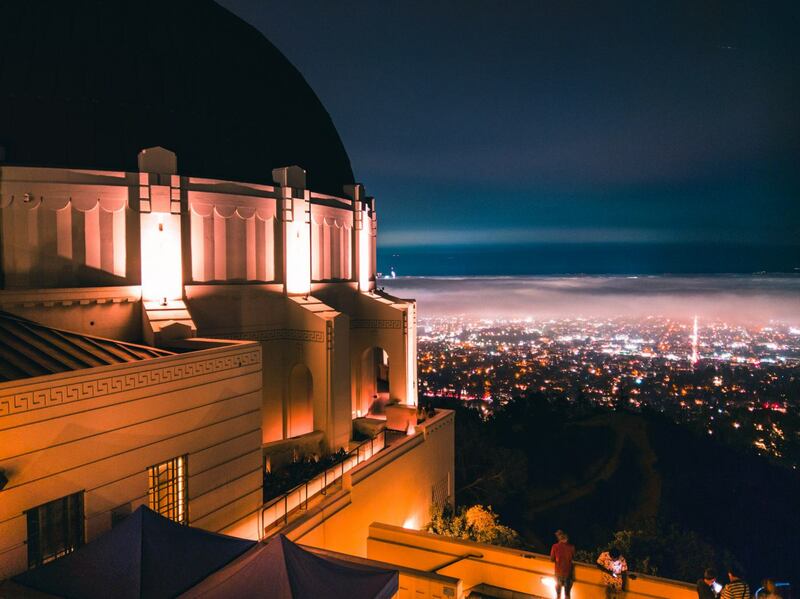 Griffith Observatory, Los Angeles. HTC U11. 2s, f/1.7, ISO 100. Full Resolution. The HTC U11 is characterized by excellent hardware crippled by terrible software. It’s fully capable of performing well in terms of image quality but getting there is a pain due to its poor user interface and limited features. HTC is obviously great at making capable (even impressive) hardware but I’d love to see HTC take a more serious stance on their camera software design in the future. At the moment, it’s not very good. St. Adalbert Church, Chicago. LG V30 Wide Angle. 8s, f/1.9, ISO 50. ND Filter. Full Resolution. 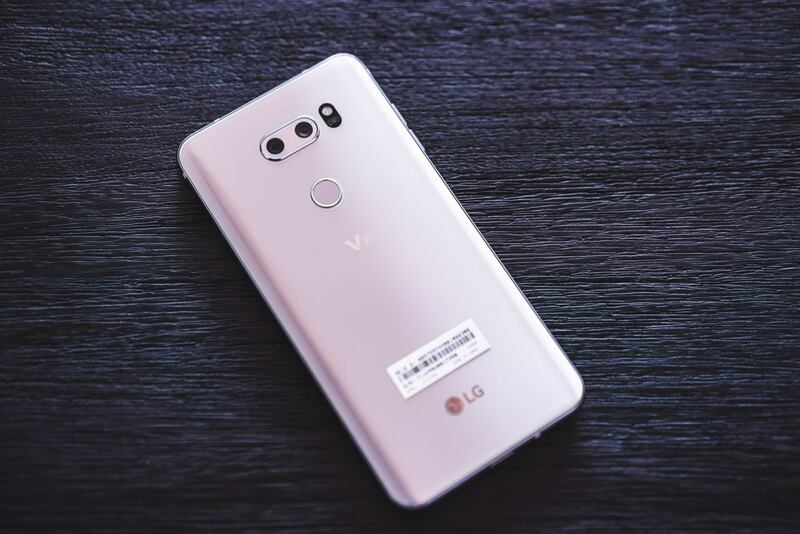 Ah yes, the LG V30. Shooting with this phone was arguably the most fun of the bunch and that’s for one reason alone: the ultra wide angle camera. It’s certainly not the sharpest lens but the resulting photos more than make up for some unsharp corners in their wide sweeping views. 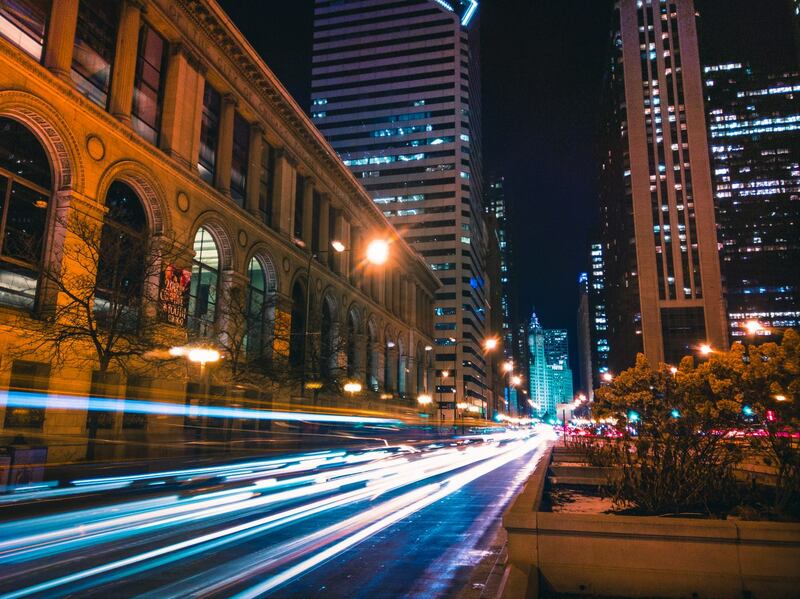 In a cityscape setting, the ultra wide field of view is a wonderful tool that opens new photographic possibilities offered by no other smartphone manufacturer. Hancock Tower, Chicago. LG V30. 15s, f/1.6, ISO 50. ND Filter. Full Resolution. One thing that I did notice with the LG V30 specifically was it’s increased proneness to flare around bright highlights when using an ND filter. While some flare is to be expected when using a filter, for some reason, the V30 showed stronger flares compared to the other phones, even when using the same exact filter. I think it might have something to do with the highly reflective silver back of the phone. 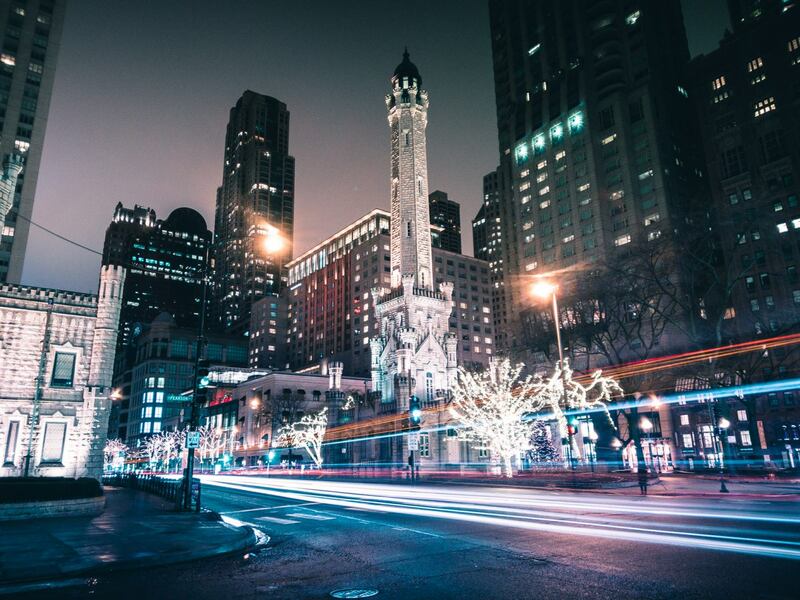 Chicago Water Tower. LG V30 Wide Angle. 8s, f/1.9, ISO 50. ND Filter. Full Resolution. Just to re-iterate just how wide the field of view it on the V30: in the photograph above, the view is so wide my neutral density filter ring shows up in the corners of the image. There’s some of that filter flare I’m talking about but I don’t think it’s overly detrimental to the image. Parking Lot on Elm St., Chicago. LG V30. 8s, f/1.6, ISO 50. ND Filter. Full Resolution. While the ultra wide angle lens is a ton of fun, I’d say that it occupied about 50% of my shooting time with the LG v30. The primary standard wide angle camera is just as useful in most shooting situations. Long exposure photos from the LG V30 photos look very clean out of camera but scrutinizing fine details shows that long exposure images are a little bit less sharp than the competition. It’s fine for what most people will use for their mobile photos but if you want the finest and sharpest details out of your mobile camera, the LG V30 falls a little short. Los Angeles Basin from Griffith Observatory. LG V30 Wide Angle. 8s, f/1.9, ISO 50. ND Filter. Full Resolution. I really enjoyed having the option of using the ultra wide field of view. 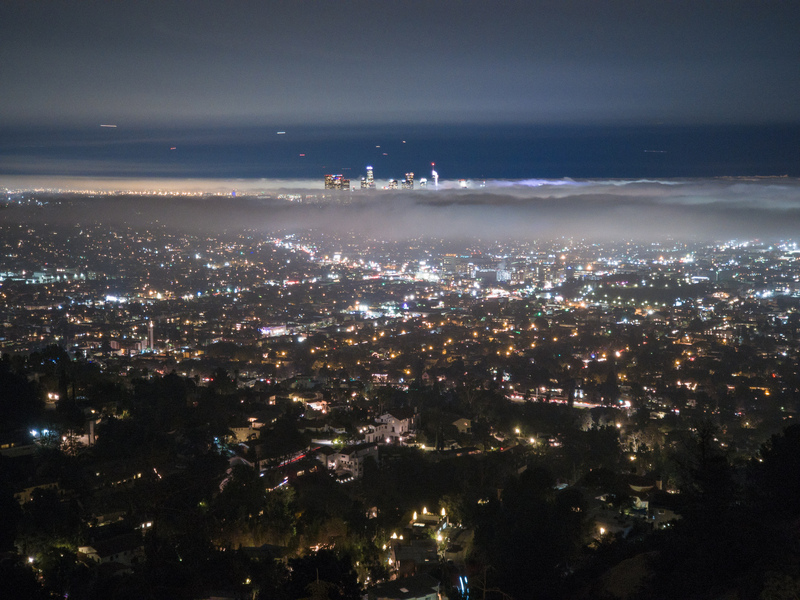 This image of Los Angeles above really captured the feeling of how large with view from Griffith observatory was. It’s not the sharpest of images but it’s a shot that none of the other smartphones in this comparison could have made. Griffith Observatory. LG V30 Wide Angle. 30s, f/1.9, ISO 50. ND Filter. Full Resolution. Overall, the LG V30 gets a lot of things right in its camera experience. I absolutely love the ultra wide angle camera and the user interface experience on the manual exposure camera is very good. I wish fine detail when using long exposure was better. It’s clear that LG is cooking their V30 RAW files with some over zealous noise reduction and that compromises sharpness and fine detail rendering. If the finest of resolution isn’t super important, there’s pretty much no other camera manufacturer offering an equivalent experience as what is found with the V30’s ultra wide angle lens. It’s definitely the most fun to use of the phones in this comparison. North Pond, Lincoln Park, Chicago. Samsung Galaxy S8. 10s, f/1.7, ISO 50. ND Filter. Full Resolution. The Samsung Galaxy S8 was generally nice to use in low-light shooting situations. I did notice some strange colored vignetting, similar to what we saw on the HTC U11 in certain situations. 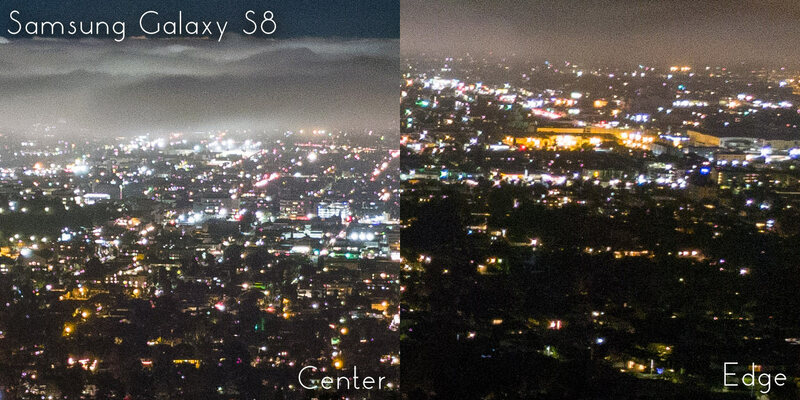 Likely a sign that Samsung is applying a software lens vignetting correction to their RAW images. I’d prefer if these corrections were left out of RAW files and instead limited to JPEGs. Peggy Notebaert Nature Museum. Samsung Galaxy S8. 10s, f/1.7, ISO 50. ND Filter. Full Resolution. I felt that the Samsung’s 10 second long exposure limit was not too big of an issue for night cityscapes but it does slightly limit the creative potential of the S8’s camera not having a 30s exposure capability. For most photographers, it shouldn’t be too much of a deal breaker. Roslyn Place, Chicago. Samsung Galaxy S8. 10s, f/1.7, ISO 50. ND Filter. Full Resolution. The Samsung S8 is arguably the most popular and bestselling of the 4 smartphones in this comparison and it’s refreshing that Samsung has put so much manual photographic power into their flagship phone. 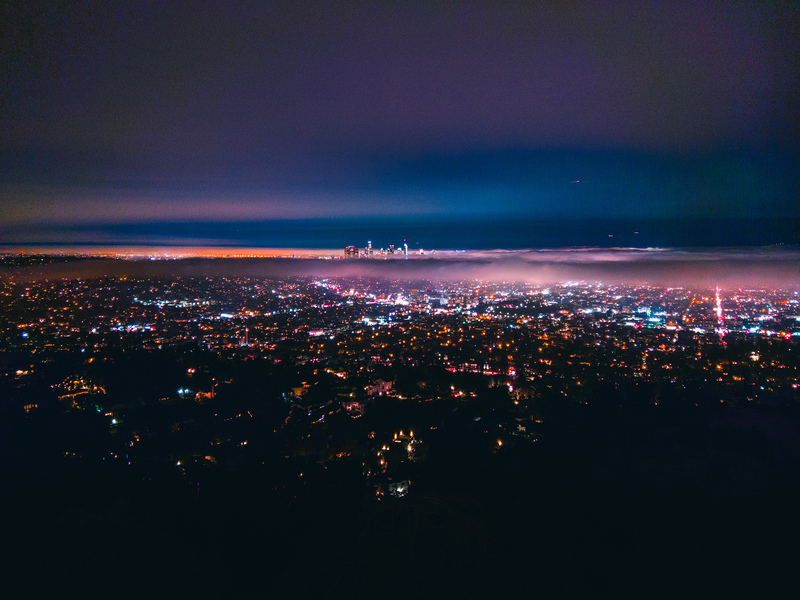 Downtown Los Angeles from Griffith Observatory. Samsung Galaxy S8. 1s, f/1.7, ISO 50. Full Resolution. Close scrutiny of the pinpoint light sources in the above image shows that there is some strange processing being applied: the finest pinpoints appear to have dark centers, as if Samsung is applying the same type processing as on the LG V30. It’s not as detrimental to sharpness but once again, I wish manufacturers didn’t apply such strong processing to RAW image files. Griffith Observatory. Samsung Galaxy S8. 8s, f/1.7, ISO 50. Full Resolution. 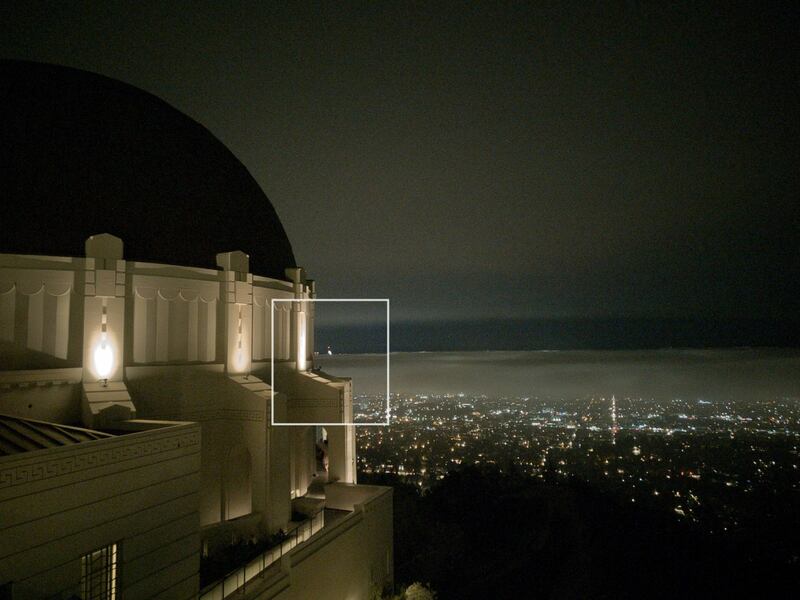 The strange vignetting gradient visible under some situations on the S8 can be seen in in this portrait of Griffith Observatory. 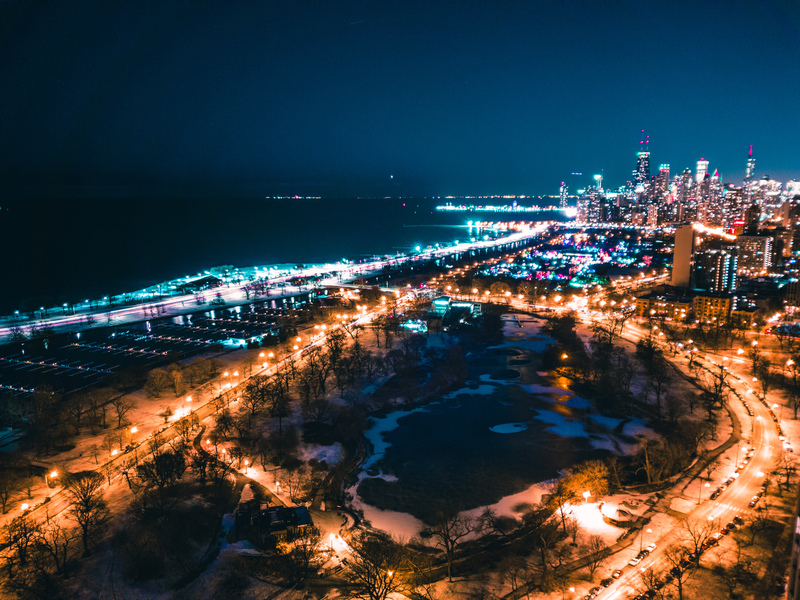 Lincoln Park and Downtown Chicago. Griffith Observatory. Samsung Galaxy S8. 8s, f/1.7, ISO 50. Full Resolution. I did find the occasional situation when the S8 would not seem to nail focus perfectly, despite being set manually to infinity. It seems like there is some variability in the focus mechanism on the S8. 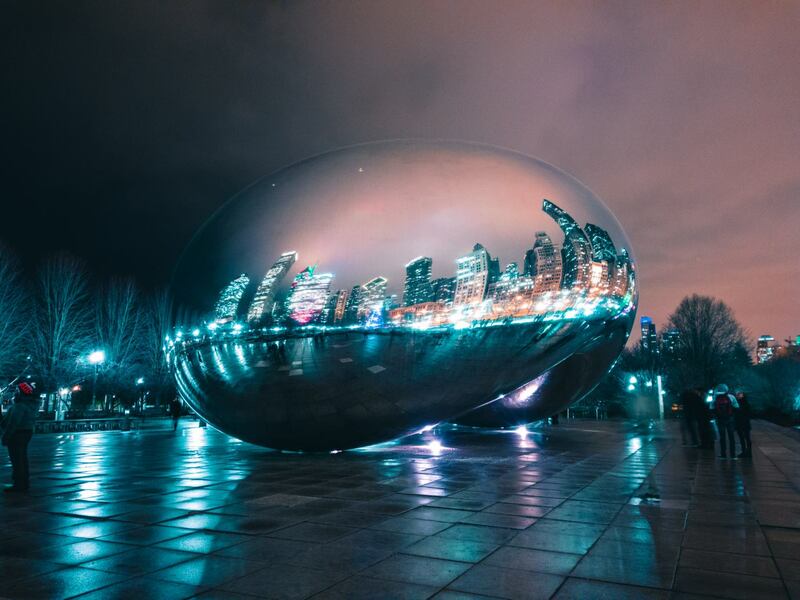 Cloud Gate, The Bean, Chicago. Samsung Galaxy S8. 1s, f/1.7, ISO 50. Full Resolution. Overall, the Samsung Galaxy S8 gets a lot of things right. Its user interface is intuitive to use and I like the accuracy of its exposure meter, even in low-light exposure situations. I’d be very happy to have the Galaxy S8 in my pocket. 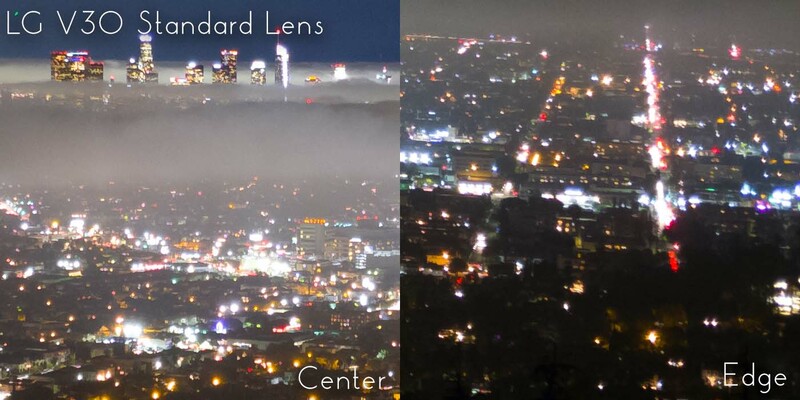 If there’s anything that this comparison has made evident, it’s that smartphone cameras a very capable low-light shooters. 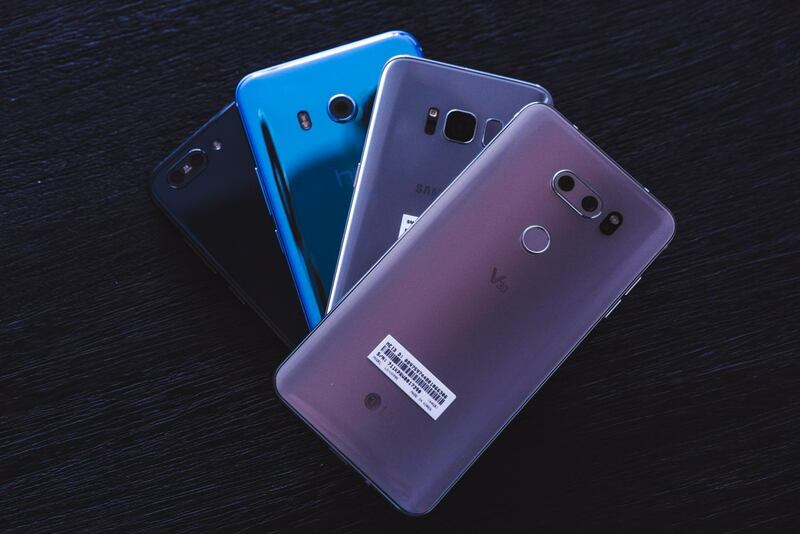 All four of these cameras have standout characteristics when shooting low-light exposures: the ASUS ZenFone 4 Pro’s low-light performance and user experience, the HTC U11’s lens sharpness, the LG V30’s ultra wide angle lens, and the Samsung S8’s overall balance of image quality and user experience. The ASUS ZenFone 4 Pro was the big surprise. Its design is a little “older” in appearance than than bezel-less S8 or V30, but beneath its standard looking body is a very powerful camera. It excelled at low-light shooting across the board. It’s resulting images impressed me most of any of these smartphone cameras. Most of all, The ZenFone 4 Pro offered the best user experience I’ve had from a smartphone camera. If there’s one phone I’d choose among these four, specifically for shooting photos, the ASUS ZenFone 4 Pro is the best of the bunch. Hopefully we will see smartphone manufacturers further improve the photographic capabilities of the phones through better software. We know that the hardware will improve over time and is already very capable. It’s in the software where the most improvements must be made by most manufacturers. The ZenFone 4 Pro truly felt like it has a fully well rounded user interface experience and it also had extra perks like the largest ISO range and a true exposure simulation live view feed when shooting in low-light conditions. 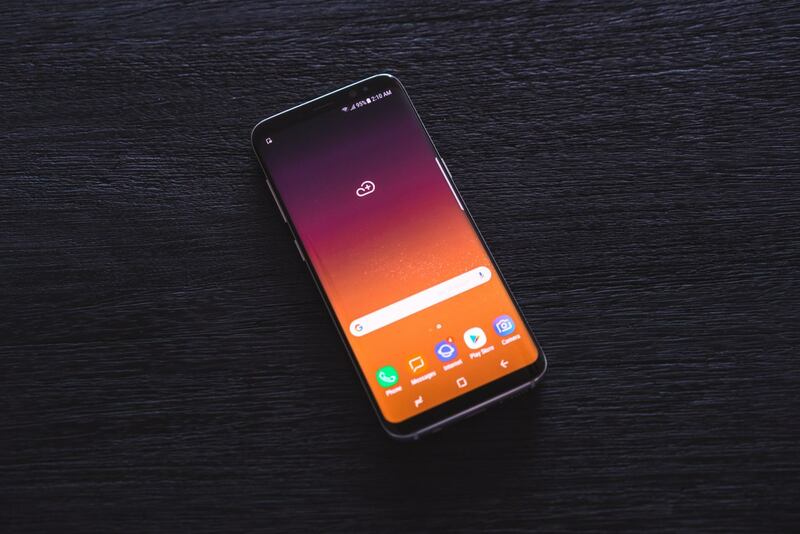 The Samsung S8 and LG V30 came very close but didn’t quite match in user experience or image quality, of which primarily came down to image processing. 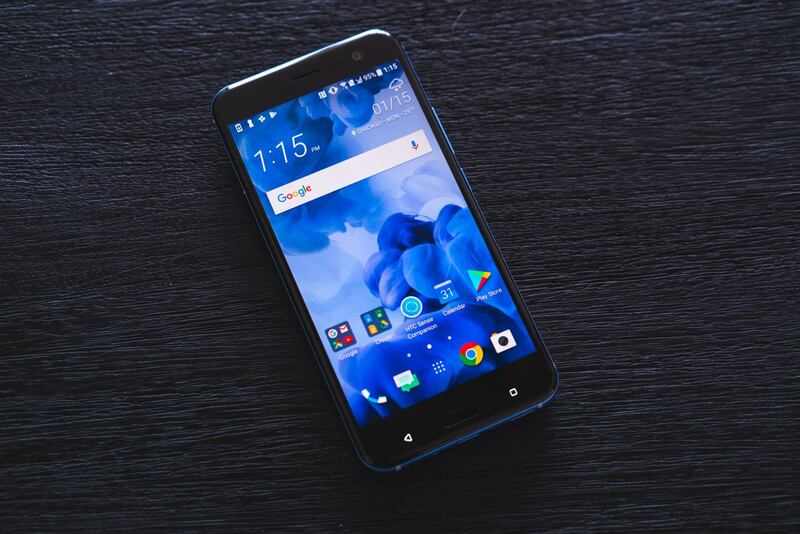 The HTC U11 excelled in image sharpness but fell flat when it came to software features and user interface design. Almost all of the negative points that can be made about any of these smartphones comes down to software. I’m very excited the the prospect of shooting photos that meet or exceed the image quality available from a DSLR, all on a smartphone. We’re not quite there yet but I think we’re getting very close. I’ll always love using my “real” full-sized camera but sometimes the best camera you have is the one in your pocket. We are a participant in the B&H Affiliate Program which also allows us to earn fees by linking to bhphotovideo.com. Lonely Speck is my full-time job. It’s been an amazing experience for us to see a community develop around learning astrophotography and we’re so happy to be a small part of it. I have learned that amazing things happen when you ask for help so remember that we are always here for you. If you have any questions about photography or just want to share a story, contact us! If you find the articles here helpful, consider helping us out with a donation. Hello, I would like to know which brand and model of ND Filter that was used to make these photos. I saw that you mentioned you were saving the photos as RAW files, but then were also noting noise reduction being applied to said files, at least with the V30. I have the V20 and absolutely love it, but I will agree that LG is overly aggressive with noise reduction in auto mode. It seems that the RAW files do not have any noise reduction applied (or at the very least, is minimal). Are your tests showing that LG is still applying some sort of aggressive noise reduction on the RAW files of the V30, making them not a true RAW I guess? I haven’t used the V30 and consider it a downgrade in many aspects over my V20, but if they have made this change as well, it’s very disappointing. I recently purchased Asus Zenfone 3 zoom,it has same camera configuration as Asus Zenfone 4 pro, Even manual controls are awesome. Asus is best OEM. (screen is failing). Looking forward to your upcoming articles with this form factor! Its a shame that both Apple and Google have not stepped up with an in depth manual mode. They have the computational and hardware horsepower to make wonders happen, but choose not to, so it seems. Google has been touting the low-light performance of the Pixel 2. Curious how it would perform. Previous PostPrevious SharpStar2 150mm Now Available!